Kai Chen, Peijun Guo, Thang Duy Dao, Shi-Qiang Li, Satoshi Ishiii, Tadaaki Nagao and Robert P. H. Chang. "Protein-Functionalized Indium-Tin Oxide Nanoantenna Arrays for Selective Infrared Biosensing." Advanced Optical Materials no. 463 (2017): 1700091. Michael J. Chon, Matthew Daly, Bin Wang, Xianghui Xiao, Alireza Zaheri, Marc A. Meyers and Horacio D. Espinosa. "Lamellae spatial distribution modulates fracture behavior and toughness of african pangolin scales." Journal of the Mechanical Behavior of Biomedical Materials no. 450 (2017). James Coakley, Eric A. Lass, Dong Ma, Matthew Frost, David N. Seidman, David C. Dunand and Howard J. Stone. "Rafting and elastoplastic deformation of superalloys studied by neutron diffraction." Scripta Materialia 134, no. 360 (2017): 110-114. James Coakley, Eric A. Lass, Dong Ma, Matthew Frost, Howard J. Stone, David N. Seidman and David C. Dunand. "Lattice parameter misfit evolution during creep of a cobalt-based superalloy single crystal with cuboidal and rafted gamma-prime microstructures." Acta Materialia no. 451 (2017). Subhadip Goswami, Claire E. Miller, Jenna L. Logsdon, Cassandra T. Buru, Yi-Lin Wu, David N. Bowman, Timur Islamoglu, Abdullah M. Asiri, Christopher J. Cramer, Michael R. Wasielewski, Joseph T. Hupp and Omar K. Farha. "Atomistic Approach toward Selective Photocatalytic Oxidation of a Mustard-Gas Simulant: A Case Study with Heavy-Chalcogen-Containing PCN-57 Analogues." ACS Applied Materials & Interfaces 9, no. 44723 (2017): 19535-19540. Wei Huang, Xinming Zhuang, Ferdinand S. Melkonyan, Binghao Wang, Li Zeng, Gang Wang, Shijiao Han, Michael J. Bedzyk, Junsheng Yu, Tobin J. Marks and Antonio Facchetti. "UV–Ozone Interfacial Modification in Organic Transistors for High-Sensitivity NO2 Detection." Advanced Materials no. 454(2017): 1701706. Yoon-Jun Kim, Li-Dong Zhao, Mercouri G. Kanatzidis and David N. Seidman. "Analysis of Nanoprecipitates in a Na-Doped PbTe–SrTe Thermoelectric Material with a High Figure of Merit." ACS Applied Materials & Interfaces no. 448 (2017). Dmitry Kurouski, Nicolas Large, Naihao Chiang, Anne-Isabelle Henry, Tamar Seideman, George C. Schatz and Richard P. Van Duyne. "Unraveling Near- and Far-Field Relationship of 2D SERS Substrates Using Wavelength-Scanned Surface-Enhanced Raman Excitation Spectroscopy (WS-SERES)." The Journal of Physical Chemistry C no. 461 (2017). Qianqian Li, Zhenpeng Yao, Jinsong Wu, Sagar Mitra, Shiqiang Hao, Tuhin Subhra Sahu, Yuan Li, Chris Wolverton and Vinayak P. Dravid. "Intermediate phases in sodium intercalation into MoS2 nanosheets and their implications for sodium-ion batteries." Nano Energy 38, no. 445 (2017): 342-349. Wenwen Lin, Constantinos C. Stoumpos, Zhifu Liu, Sanjib Das, Oleg Y. Kontsevoi, Yihui He, Christos D. Malliakas, Haijie Chen, Bruce W. Wessels and Mercouri G. Kanatzidis. "TlSn2I5, a Robust Halide Anti-perovskite Semiconductor for γ-Ray Detection at Room Temperature." ACS Photonics no. 449 (2017). Zhao Liu, Kai Han, Yu-chen Karen Chen-Wiegart, Jiajun Wang, Harold H. Kung, Jun Wang, Scott A. Barnett and Katherine T. Faber. "X-ray nanotomography analysis of the microstructural evolution of LiMn2O4 electrodes." Journal of Power Sources 360, no. 458 (2017): 460-469. Kohei Sato, Wei Ji, Liam C. Palmer, Benjamin Weber, Matthias Barz and Samuel I. Stupp. "Programmable Assembly of Peptide Amphiphile via Noncovalent-to-Covalent Bond Conversion." Journal of the American Chemical Society no. 460 (2017). Guohua Wei, David A. Czaplewski, Erik J. Lenferink, Teodor K. Stanev, Il Woong Jung and Nathaniel P. Stern. "Size-tunable Lateral Confinement in Monolayer Semiconductors." Scientific Reports 7, no. 455(2017): 3324. Yi Y. Wu and Harold H. Kung. "Probing properties of the interfacial perimeter sites in TiOx/Au/SiO2 with 2-Propanol decomposition." Applied Catalysis A: General no. 466 (2017). Zhilin Yu, Aykut Erbas, Faifan Tantakitti, Liam C. Palmer, Joshua A. Jackman, Monica Olvera de la Cruz, Nam-Joon Cho and Samuel I. Stupp. "Co-assembly of Peptide Amphiphiles and Lipids into Supramolecular Nanostructures Driven by Anion−π Interactions." Journal of the American Chemical Society 139, no. 44623 (2017): 7823-7830. Serkan Butun, Edgar Palacios, Jeffrey D. Cain, Zizhuo Liu, Vinayak P. Dravid and Koray Aydin. "Quantifying Plasmon-Enhanced Light Absorption in Monolayer WS2 Films." ACS Applied Materials & Interfaces 9, no. 40617 (2017): 15044-15051. Jingshan S. Du, Peng-Cheng Chen, Brian Meckes, Zhuang Xie, Jinghan Zhu, Yuan Liu, Vinayak P. Dravid and Chad A. Mirkin. "The Structural Fate of Individual Multicomponent Metal-Oxide Nanoparticles in Polymer Nanoreactors." Angewandte Chemie 129, no. 45926 (2017): 7733-7737. Nicholas D. Eastham, Alexander S. Dudnik, Thomas J. Aldrich, Eric F. Manley, Thomas J. Fauvell, Patrick E. Hartnett, Michael R. Wasielewski, Lin X. Chen, Ferdinand S. Melkonyan, Antonio Facchetti, Robert P. H. Chang and Tobin J. Marks. "Small Molecule Acceptor and Polymer Donor Crystallinity and Aggregation Effects on Microstructure Templating: Understanding Photovoltaic Response in Fullerene-Free Solar Cells." Chemistry of Materials no. 408 (2017). Roman V. Kazantsev, Adam J. Dannenhoffer, Adam S. Weingarten, Brian T. Phelan, Boris Harutyunyan, Taner Aytun, Ashwin Narayanan, Daniel J. Fairfield, Job Boekhoven, Hiroaki Sai, Andrew Senesi, Pascual I. O’Dogherty, Liam C. Palmer, Michael J. Bedzyk, Michael R. Wasielewski and Samuel I. Stupp. "Crystal-Phase Transitions and Photocatalysis in Supramolecular Scaffolds." Journal of the American Chemical Society 139, no. 40717 (2017): 6120-6127. Monica M. Laronda, Alexandra L. Rutz, Shuo Xiao, Kelly A. Whelan, Francesca E. Duncan, Eric W. Roth, Teresa K. Woodruff and Ramille N. Shah. "A bioprosthetic ovary created using 3D printed microporous scaffolds restores ovarian function in sterilized mice." Nature Communications 8, no. 457(2017): 15261. Zeynab Mousavikhamene, Mohammad J. Abdekhodaie and Hamid Ahmadieh. "Facilitation of transscleral drug delivery by drug loaded magnetic polymeric particles." Materials Science and Engineering: C no. 418 (2017). Taegon Oh, Jessie C. Ku, Tuncay Ozel and Chad A. Mirkin. "Orthogonal Chemical Modification of Template-Synthesized Nanostructures with DNA." Journal of the American Chemical Society no. 417(2017). Martino Rimoldi, Leighanne C. Gallington, Karena W. Chapman, Keith MacRenaris, Joseph T. Hupp and Omar Farha. "Catalytically Active Silicon Oxide Nanoclusters Stabilized in a Metal-Organic Framework." Chemistry – A European Journal no. 443 (2017). Surya S. Rout, Philipp R. Heck, Nestor J. Zaluzec, Takayuki Ishii, Jianguo Wen, Dean J. Miller and Birger Schmitz. "Shocked chromites in fossil L chondrites: A Raman spectroscopy and transmission electron microscopy study." Meteoritics & Planetary Science no. 415 (2017). Jing Zhao, Saiful M. Islam, Oleg Y. Kontsevoi, Gangjian Tan, Constantinos C. Stoumpos, Haijie Chen, R. K. Li and Mercouri G. Kanatzidis. "The Two-Dimensional AxCdxBi4–xQ6 (A = K, Rb, Cs; Q = S, Se): Direct Bandgap Semiconductors and Ion-Exchange Materials." Journal of the American Chemical Society no. 416 (2017). Duyen H. Cao, Constantinos C. Stoumpos, Takamichi Yokoyama, Jenna L. Logsdon, Tze-Bin Song, Omar K. Farha, Michael R. Wasielewski, Joseph T. Hupp and Mercouri G. Kanatzidis. "Thin Films and Solar Cells Based on Semiconducting Two-Dimensional Ruddlesden–Popper (CH3(CH2)3NH3)2(CH3NH3)n−1SnnI3n+1 Perovskites. "ACS Energy Letters no. 412 (2017): 982-990. Yue Li, Di Zhang, Ilker Capoglu, Karl A. Hujsak, Dhwanil Damania, Lusik Cherkezyan, Eric Roth, Reiner Bleher, Jinsong S. Wu, Hariharan Subramanian, Vinayak P. Dravid and Vadim Backman. "Measuring the Autocorrelation Function of Nanoscale Three-Dimensional Density Distribution in Individual Cells Using Scanning Transmission Electron Microscopy, Atomic Force Microscopy, and a New Deconvolution Algorithm. "Microscopy and Microanalysis no. 282(2017): 1-7. Kyle M. McCall, Constantinos C. Stoumpos, Svetlana S. Kostina, Mercouri G. Kanatzidis and Bruce W. Wessels. "Strong Electron–Phonon Coupling and Self-Trapped Excitons in the Defect Halide Perovskites A3M2I9 (A = Cs, Rb; M = Bi, Sb). "Chemistry of Materials no. 400 (2017). Lauren R. McCullough, David J. Childers, Rachel A. Watson, Beata A. Kilos, David G. Barton, Eric Weitz, Harold H. Kung and Justin M. Notestein. "Acceptorless dehydrogenative coupling of neat alcohols using Group VI sulfide catalysts. "ACS Sustainable Chemistry & Engineering no. 403 (2017). Yinbin Miao, Tiankai Yao, Jie Lian, Jun-Sang Park, Jonathan Almer, Sumit Bhattacharya, Abdellatif M. Yacout and Kun Mo. "In situ synchrotron investigation of grain growth behavior of nano-grained UO2. "Scripta Materialia 131, no. 164 (2017): 29-32. Gautam Naik and Sridhar Krishnaswamy. "Photoreduction and Thermal Properties of Graphene-Based Flexible Films. "Graphene 6, no. 3592 (2017): 27-40. Rajaprakash Ramachandramoorthy, Yanming Wang, Amin Aghaei, Gunther Richter, Wei Cai and Horacio D. Espinosa. "Reliability of Single Crystal Silver Nanowire-Based Systems: Stress Assisted Instabilities. "ACS Nano no. 399 (2017). Tze-Bin Song, Takamichi Yokoyama, Shinji Aramaki and Mercouri G. Kanatzidis. "Performance Enhancement of Lead-Free Tin-Based Perovskite Solar Cells with Reducing Atmosphere-Assisted Dispersible Additive." ACS Energy Letters 2, no. 4204 (2017): 897-903. Jing Xu, David J. Corr and Surendra P. Shah. "Nanoscratch Study of the Modification Effects of NanoSiO2"Journal of Materials in Civil Engineering 29, no. 9 (2017). Shadid Askar, Tong Wei, Anthony W. Tan and John M. Torkelson. "Molecular weight dependence of the intrinsic size effect on Tg in AAO template-supported polymer nanorods: A DSC study." The Journal of Chemical Physics 146, no. 42820 (2017): 203323. Yang Bai, Xu-jing Guo, Yun-zhen Li and Tao Huang. "Experimental and visual research on the microbial induced carbonate precipitation by Pseudomonas aeruginosa." AMB Express 7, no. 2211 (2017): 57. Eun Ji Chung, Matthew J. Sugimoto, Jason L. Koh and Guillermo A. Ameer. "A biodegradable tri-component graft for anterior cruciate ligament reconstruction." Journal of Tissue Engineering and Regenerative Medicine 11, no. 2783 (2017): 704-712. E. L. Fishman, Kyoung Jo, Andrew Ha, Rachel Royfman, Ashtyn Zinn, Malathi Krishnamurthy and Tomer Avidor-Reiss. "Atypical centrioles are present in Tribolium sperm." Open Biology 7, no. 2813 (2017). Adam E. Jakus, Katie D. Koube, Nicholas R. Geisendorfer and Ramille N. Shah. "Robust and Elastic Lunar and Martian Structures from 3D-Printed Regolith Inks." Scientific Reports 7, no. 283(2017): 44931. Ho-Il Ji, Timothy C. Davenport, Michael J. Ignatowich and Sossina M. Haile. "Gas-phase vs. material-kinetic limits on the redox response of nonstoichiometric oxides." Physical Chemistry Chemical Physics 19, no. 20710 (2017): 7420-7430. Byunghong Lee, Anthony Krenselewski, Sung Il Baik, David Seidman and Robert P. H. Chang. "Solution Processing of Air-Stable Molecular Semiconducting Iodosalts, Cs2SnI6-xBrx, for Potential Solar Cell Application." Sustainable Energy & Fuels no. 223(2017). Haixin Lin, Sangmin Lee, Lin Sun, Matthew Spellings, Michael Engel, Sharon C. Glotzer and Chad A. Mirkin. "Clathrate colloidal crystals." Science 355, no. 2046328 (2017): 931-935. Julian J. McMorrow, Cory D. Cress, William A. Gaviria Rojas, Michael L. Geier, Tobin J. Marks and Mark C. Hersam. "Radiation-Hard Complementary Integrated Circuits Based on Semiconducting Single-Walled Carbon Nanotubes." ACS Nano 11, no. 3983 (2017): 2992-3000. Mahyar M. Moghadam, Ran Li, D. Bruce Buchholz, Qianqian Li, Peter W. Voorhees and Vinayak P. Dravid. "In Situ Crystallization and Morphological Evolution in Multicomponent Indium Oxide Thin Films." Crystal Growth & Design 17, no. 4093 (2017): 1396-1403. S Nah, B Spokoyny, C Stoumpos, C. M. M. Soe, M Kanatzidis and E Harel. "Spatially segregated free-carrier and exciton populations in individual lead halide perovskite grains." Nat Photon advance online publication, no. 225 (2017). Amelia A. Plunk and David C. Dunand. "Iron foams created by directional freeze casting of iron oxide, reduction and sintering." Materials Letters 191, no. 361(2017): 112-115. Philipp Simons, Ho-Il Ji, Timothy C. Davenport and Sossina M. Haile. "A piezomicrobalance system for high-temperature mass relaxation characterization of metal oxides: A case study of Pr-doped ceria." Journal of the American Ceramic Society 100, no. 4213 (2017): 1161-1171. N. Sridharan, D. Isheim, D. N. Seidman and S. S. Babu. "Colossal super saturation of oxygen at the iron-aluminum interfaces fabricated using solid state welding." Scripta Materialia 130, no. 158 (2017): 196-199. Constantinos C. Stoumpos, Chan Myae Myae Soe, Hsinhan Tsai, Wanyi Nie, Jean-Christophe Blancon, Duyen H. Cao, Fangze Liu, Boubacar Traoré, Claudine Katan, Jacky Even, Aditya D. Mohite and Mercouri G. Kanatzidis. "High Members of the 2D Ruddlesden-Popper Halide Perovskites: Synthesis, Optical Properties, and Solar Cells of (CH3(CH2)3NH3)2(CH3NH3)4Pb5I16." Chem 2, no. 2183 (2017): 427-440. Subbu S. Venkatraman, C. Shad Thaxton and Vinayak P. Dravid. "High-Density Lipoprotein-like Magnetic Nanostructures (HDL-MNS): Theranostic Agents for Cardiovascular Disease." Chemistry of Materials 29, no. 3975 (2017): 2276-2282. Ryan A. Hackler, Michael O. McAnally, George C. Schatz, Peter C. Stair and Richard P. Van Duyne. "Identification of Dimeric Methylalumina Surface Species during Atomic Layer Deposition Using Operando Surface-Enhanced Raman Spectroscopy. "Journal of the American Chemical Society 139, no. 2116 (2017): 2456-2463. Eve D. Hanson, Luc Lajaunie, Shiqiang Hao, Benjamin D. Myers, Fengyuan Shi, Akshay A. Murthy, Chris Wolverton, Raul Arenal and Vinayak P. Dravid. "Systematic Study of Oxygen Vacancy Tunable Transport Properties of Few-Layer MoO3−x Enabled by Vapor-Based Synthesis. "Advanced Functional Materials no. 205 (2017): 1605380. Xiaobing Liu, Yun-Yuan Chang, Sergey N. Tkachev, Craig R. Bina and Steven D. Jacobsen. "Elastic and mechanical softening in boron-doped diamond. "Scientific Reports 7, no. 208(2017): 42921. Julian J. McMorrow, Cory D. Cress, Heather N. Arnold, Vinod K. Sangwan, Deep Jariwala, Scott W. Schmucker, Tobin J. Marks and Mark C. Hersam. "Vacuum ultraviolet radiation effects on two-dimensional MoS2 field-effect transistors. "Applied Physics Letters 110, no. 2037 (2017): 073102. Yinbin Miao, Jason Harp, Kun Mo, Sumit Bhattacharya, Peter Baldo and Abdellatif M. Yacout. "Short Communication on “In-situ TEM ion irradiation investigations on U3Si2 at LWR temperatures. "Journal of Nuclear Materials 484, no. 165 (2017): 168-173. Stephanie Zaleski, Kathleen A. Clark, Madison M. Smith, Jan Y. Eilert, Mark Doty and Richard P. Van Duyne. "Identification and Quantification of Intravenous Therapy Drugs Using Normal Raman Spectroscopy and Electrochemical Surface-Enhanced Raman Spectroscopy. "Analytical Chemistry 89, no. 2134 (2017): 2497-2504. Pei Zhu, Yalu Zhou, Furen Wu, Yuanfan Hong, Xin Wang, Gajendra Shekhawat, Jeffrey Mosenson and Wen-Shu Wu. "Selective Expansion of Skeletal Muscle Stem Cells From Bulk Muscle Cells in Soft Three-Dimensional Fibrin Gel. "STEM CELLS Translational Medicine no. 206 (2017). Pedram Abbasi, Mohammad Asadi, Cong Liu, Soroosh Sharifi-Asl, Baharak Sayahpour, Amirhossein Behranginia, Peter Zapol, Reza Shahbazian-Yassar, Larry A. Curtiss and Amin Salehi-Khojin. "Tailoring the Edge Structure of Molybdenum Disulfide toward Electrocatalytic Reduction of Carbon Dioxide. "ACS Nano 11, no. 1761 (2017): 453-460. Hadallia Bergeron, Vinod K. Sangwan, Julian J. McMorrow, Gavin P. Campbell, Itamar Balla, Xiaolong Liu, Michael J. Bedzyk, Tobin J. Marks and Mark C. Hersam. "Chemical vapor deposition of monolayer MoS2 directly on ultrathin Al2O3 for low-power electronics. "Applied Physics Letters 110, no. 2155 (2017): 053101. Matthew R. DeStefano, Timur Islamoglu, Sergio J. Garibay, Joseph T. Hupp and Omar K. Farha. "Room-Temperature Synthesis of UiO-66 and Thermal Modulation of Densities of Defect Sites. "Chemistry of Materials no. 159 (2017). Jingtian Hu, Xiaochen Ren, Amber N. Reed, Thaddeus Reese, Dongjoon Rhee, Brandon Howe, Lincoln J. Lauhon, Augustine Urbas and Teri W. Odom. "Evolutionary Design and Prototyping of Single Crystalline Titanium Nitride Lattice Optics. "ACS Photonics no. 172 (2017). Yi-Hong Kuo, Sanghee Nah, Kai He, Te Hu and Aaron M. Lindenberg. "Ultrafast light-induced symmetry changes in single BaTiO3 nanowires. "Journal of Materials Chemistry C no. 187(2017). Christine R. Laramy, Lam-Kiu Fong, Matthew R. Jones, Matthew N. O'Brien, George C. Schatz and Chad A. Mirkin. "Understanding Nanoparticle-Mediated Nucleation Pathways of Anisotropic Nanoparticles. "Chemical Physics Letters no. 186 (2017). Wesley W. Luc, Charles Collins, Siwen Wang, Hongliang Xin, Kai He, Yijin Kang and Feng Jiao. "Ag-Sn Bimetallic Catalyst with a Core-Shell Structure for CO2 Reduction. "Journal of the American Chemical Society no. 170 (2017). Emily L. Que, Francesca E. Duncan, Amanda R. Bayer, Steven J. Philips, Eric W. Roth, Reiner Bleher, Sophie C. Gleber, Stefan Vogt, Teresa K. Woodruff and Thomas V. O'Halloran. "Zinc sparks induce physiochemical changes in the egg zona pellucida that prevent polyspermy. "Integrative Biology no. 163 (2017). Martino Rimoldi, Varinia Bernales, Joshua Borycz, Aleksei Vjunov, Leighanne C. Gallington, Ana E. Platero-Prats, I. S. Kim, John L. Fulton, A. B. F. Martinson, Johannes A. Lercher, Karena W. Chapman, Christopher J. Cramer, Laura Gagliardi, Joseph T. Hupp and Omar K. Farha. "Atomic Layer Deposition in a Metal–Organic Framework: Synthesis, Characterization, and Performance of a Solid Acid. "Chemistry of Materials no. 173 (2017). Tuhin Subhra Sahu, Qianqian Li, Jinsong Wu, Vinayak P. Dravid and Sagar Mitra. "Exfoliated MoS2 nanosheets confined in 3-D hierarchical carbon nanotube@graphene architecture with superior sodium-ion storage. "Journal of Materials Chemistry A 5, no. 1661 (2017): 355-363. Tze-Bin Song, Takamichi Yokoyama, Constantinos C. Stoumpos, Jenna Logsdon, Duyen H. Cao, Michael R. Wasielewski, Shinji Aramaki and Mercouri G. Kanatzidis. "Importance of Reducing Vapor Atmosphere in the Fabrication of Tin-Based Perovskite Solar Cells. "Journal of the American Chemical Society 139, no. 1622 (2017): 836-842. Constantinos C. Stoumpos, Lingling Mao, Christos D. Malliakas and Mercouri G. Kanatzidis. "Structure–Band Gap Relationships in Hexagonal Polytypes and Low-Dimensional Structures of Hybrid Tin Iodide Perovskites. "Inorganic Chemistry 56, no. 1711 (2017): 56-73. Mary X. Wang, Soyoung E. Seo, Paul A. Gabrys, Dagny Fleischman, Byeongdu Lee, Youngeun Kim, Harry A. Atwater, Robert J. Macfarlane and Chad A. Mirkin. "Epitaxy: Programmable Atom Equivalents Versus Atoms. "ACS Nano 11, no. 1751 (2017): 180-185. Stephanie Zaleski, Kathleen A. Clark, Madison M. Smith, Jan Y. Eilert, Mark J. Doty and Richard P. Van Duyne. "Rapid Identification and Quantification of Intravenous Therapy Drugs using Normal Raman Spectroscopy and Electrochemical Surface-Enhanced Raman Spectroscopy." Analytical Chemistry no. 169 (2017). Jing Zhao, Saiful M. Islam, Gangjian Tan, Shiqiang Hao, Chris Wolverton, R. K. Li and Mercouri G. Kanatzidis. "The New Semiconductor Cs4Cu3Bi9S17." Chemistry of Materials no. 160 (2017). Resham J. Banga, Sai Archana Krovi, Suguna P. Narayan, Anthony J. Sprangers, Guoliang Liu, Chad A. Mirkin and SonBinh T. Nguyen. "Drug-Loaded Polymeric Spherical Nucleic Acids: Enhancing Colloidal Stability and Cellular Uptake of Polymeric Nanoparticles through DNA Surface-Functionalization." Biomacromolecules no. 185 (2016). Jeffrey D. Cain, Eve D. Hanson, Fengyuan Shi and Vinayak P. Dravid. "Emerging opportunities in the two-dimensional chalcogenide systems and architecture. "Current Opinion in Solid State and Materials Science 20, no. 1766 (2016): 374-387. Nicholas P. Calta, Jino Im, Lei Fang, Thomas C. Chasapis, Daniel E. Bugaris, Duck Young Chung, Wai-Kwong Kwok and Mercouri G. Kanatzidis. "Hybridization Gap in the Semiconducting Compound SrIr4In2Ge4. "Inorganic Chemistry 55, no. 16823 (2016): 12477-12481. Gloria Groom, Genevieve Westerby and Mel Becker Solomon (eds.). Gauguin Paintings, Sculpture, and Graphic Works at the Art Institute of Chicago. T. A. I. Chicago. 2016. William L. Hoffeditz, Ho-Jin Son, Michael J. Pellin, Omar K. Farha and Joseph T. Hupp. "Engendering Long-Term Air and Light Stability of a TiO2-Supported Porphyrinic Dye via Atomic Layer Deposition." ACS Applied Materials & Interfaces 8, no. 18350 (2016): 34863-34869. Yi-Lin Wu, Noah E. Horwitz, Kan-Sheng Chen, Diego A. Gomez-Gualdron, Norman S. Luu, Lin Ma, Timothy C. Wang, Mark C. Hersam, Joseph T. Hupp, Omar K. Farha, Randall Q. Snurr and Michael R. Wasielewski. "G-quadruplex organic frameworks." Nat Chem advance online publication, no. 177 (2016). Ankun Yang, Alexander J. Hryn, Marc R. Bourgeois, Won-Kyu Lee, Jingtian Hu, George C. Schatz and Teri W. Odom. "Programmable and reversible plasmon mode engineering." Proceedings of the National Academy of Sciences 113, no. 17450 (2016): 14201-14206. Ruiguo Yang, Alireza Zaheri, Wei Gao, Cheryl Hayashi and Horacio D. Espinosa. "AFM Identification of Beetle Exocuticle: Bouligand Structure and Nanofiber Anisotropic Elastic Properties." Advanced Functional Materials no. 180(2016): 1603993. Sol Ahn, Nicholas E. Thornburg, Zhanyong Li, Timothy C. Wang, Leighanne C. Gallington, Karena W. Chapman, Justin M. Notestein, Joseph T. Hupp and Omar K. Farha. "Stable Metal–Organic Framework-Supported Niobium Catalysts." Inorganic Chemistry 55, no. 16922 (2016): 11954-11961. Bin Jiang, Rachel M. Suen, Jason A. Wertheim and Guillermo A. Ameer. "Targeting Heparin to Collagen within Extracellular Matrix Significantly Reduces Thrombogenicity and Improves Endothelialization of Decellularized Tissues. "Biomacromolecules no. 2 (2016). Zhanyong Li, Aaron W. Peters, Varinia Bernales, Manuel A. Ortuño, Neil M. Schweitzer, Matthew R. DeStefano, Leighanne C. Gallington, Ana E. Platero-Prats, Karena W. Chapman, Christopher J. Cramer, Laura Gagliardi, Joseph T. Hupp and Omar K. Farha. "Metal–Organic Framework Supported Cobalt Catalysts for the Oxidative Dehydrogenation of Propane at Low Temperature. "ACS Central Science (2016). Xiaolong Liu, Kan-Sheng Chen, Spencer A. Wells, Itamar Balla, Jian Zhu, Joshua D. Wood and Mark C. Hersam. "Scanning Probe Nanopatterning and Layer-by-Layer Thinning of Black Phosphorus. "Advanced Materials no. 28 (2016). Lingling Mao, Hsinhan Tsai, Wanyi Nie, Lin Ma, Jino Im, Constantinos C. Stoumpos, Christos D. Malliakas, Feng Hao, Michael R. Wasielewski, Aditya D. Mohite and Mercouri G. Kanatzidis. "Role of Organic Counterion in Lead- and Tin-Based Two-Dimensional Semiconducting Iodide Perovskites and Application in Planar Solar Cells. "Chemistry of Materials 28, no. 14821 (2016): 7781-7792. Yinbin Miao, Jason Harp, Kun Mo, Sumit Bhattacharya, Peter Baldo and Abdellatif M. Yacout. "In-situ TEM ion irradiation investigations on U3Si2 at LWR temperatures." Journal of Nuclear Materials no. 170 (2016). Matthew N. O’Brien, Hai-Xin Lin, Martin Girard, Monica Olvera de la Cruz and Chad A. Mirkin. "Programming Colloidal Crystal Habit with Anisotropic Nanoparticle Building Blocks and DNA Bonds." Journal of the American Chemical Society 138, no. 16444 (2016): 14562-14565. Nikhil Rammohan, Keith W. MacRenaris, Laura K. Moore, Giacomo Parigi, Daniel J. Mastarone, Lisa M. Manus, Laura M. Lilley, Adam T. Preslar, Emily A. Waters, Abigail Filicko, Claudio Luchinat, Dean Ho and Thomas J. Meade. "Nanodiamond–Gadolinium(III) Aggregates for Tracking Cancer Growth In Vivo at High Field. "Nano Letters no. 154(2016). Bhavya Sharma, M. Fernanda Cardinal, Michael B. Ross, Alyssa B. Zrimsek, Sergei V. Bykov, David Punihaole, Sanford A. Asher, George C. Schatz and Richard P. Van Duyne. "Aluminum Film-Over-Nanosphere Substrates for Deep-UV Surface-Enhanced Resonance Raman Spectroscopy." Nano Letters no. 208 (2016). Jisheng Xiao, Siyu Chen, Ji Yi, Hao F. Zhang and Guillermo A. Ameer. "A Cooperative Copper Metal–Organic Framework-Hydrogel System Improves Wound Healing in Diabetes. "Advanced Functional Materials no. 157(2016). Ankun Yang, Alexander J. Hryn, Marc R. Bourgeois, Won-Kyu Lee, Jingtian Hu, George C. Schatz and Teri W. Odom. "Programmable and reversible plasmon mode engineering." Proceedings of the National Academy of Sciences no. 172 (2016). Jing Yu, Qianqian Li, Yuan Li, Cheng-Yan Xu, Liang Zhen, Vinayak P. Dravid and Jinsong Wu. "Ternary Metal Phosphide with Triple-Layered Structure as a Low-Cost and Efficient Electrocatalyst for Bifunctional Water Splitting." Advanced Functional Materials 26, no. 16342 (2016): 7644-7651. Haijie Chen, Awadhesh Narayan, Lei Fang, Nicholas P. Calta, Fengyuan Shi, Duck Young Chung, Lucas K. Wagner, Wai-Kwong Kwok and Mercouri G. Kanatzidis. "From complex magnetism ordering to simple ferromagnetism in two-dimensional LaCrSB3 by hole doping. "Physical Review B 94, no. 6613 (2016): 134411. Anthony De Luca, David C. Dunand and David N. Seidman. "Mechanical properties and optimization of the aging of a dilute Al-Sc-Er-Zr-Si alloy with a high Zr/Sc ratio. "Acta Materialia 119, no. 42(2016): 35-42. Subhadip Goswami, Lin Ma, Alex B. F. Martinson, Michael R. Wasielewski, Omar K. Farha and Joseph T. Hupp. "Toward Metal–Organic Framework-Based Solar Cells: Enhancing Directional Exciton Transport by Collapsing Three-Dimensional Film Structures. "ACS Applied Materials & Interfaces no. 65(2016): 30863-30870. Jingtian Hu, Chang-Hua Liu, Xiaochen Ren, Lincoln J. Lauhon and Teri W. Odom. "Plasmonic Lattice Lenses for Multiwavelength Achromatic Focusing. "ACS Nano no. 57(2016). Saiful M. Islam, Christos D. Malliakas, Debajit Sarma, David C. Maloney, Constantinos C. Stoumpos, Oleg Y. Kontsevoi, Arthur J. Freeman and Mercouri G. Kanatzidis. "Direct Gap Semiconductors Pb2BiS2I3, Sn2BiS2I3, and Sn2BiSI5." Chemistry of Materials 28, no. 20020 (2016): 7332-7343. Adam E. Jakus and Ramille N. Shah. "Multi and mixed 3D-printing of graphene-hydroxyapatite hybrid materials for complex tissue engineering. "Journal of Biomedical Materials Research Part A no. 106 (2016). Weijun Ke, Constantinos C. Stoumpos, Jenna Leigh Logsdon, Michael R. Wasielewski, Yanfa Yan, Guojia Fang and Mercouri G. Kanatzidis. "TiO2–ZnS Cascade Electron Transport Layer for Efficient Formamidinium Tin Iodide Perovskite Solar Cells. "Journal of the American Chemical Society no. 35(2016): 14998–15003. Eungje Lee, Joel Blauwkamp, Fernando C. Castro, Jinsong Wu, Vinayak P. Dravid, Pengfei Yan, Chongmin Wang, Soo Kim, Christopher Wolverton, Roy Benedek, Fulya Dogan, Joong Sun Park, Jason R. Croy and Michael M. Thackeray. "Exploring Lithium-Cobalt-Nickel Oxide Spinel Electrodes for ≥3.5 V Li-Ion Cells. "ACS Applied Materials & Interfaces 8, no. 14241 (2016): 27720-27729. Peng Li, Su-Young Moon, Mark A. Guelta, Lu Lin, Diego A. Gómez-Gualdrón, Randall Q. Snurr, Steven P. Harvey, Joseph T. Hupp and Omar K. Farha. "Nanosizing a Metal–Organic Framework Enzyme Carrier for Accelerating Nerve Agent Hydrolysis. "ACS Nano 10, no. 2910 (2016): 9174-9182. Hyunho Noh, Yuexing Cui, Aaron W. Peters, Dale R. Pahls, Manuel A. Ortuño, Nicolaas A. Vermeulen, Christopher J. Cramer, Laura Gagliardi, Joseph T. Hupp and Omar K. Farha. "An Exceptionally Stable Metal–Organic Framework Supported Molybdenum(VI) Oxide Catalyst for Cyclohexene Epoxidation. "Journal of the American Chemical Society 138, no. 4644 (2016): 14720-14726. Magdalena Owczarek, Karl A. Hujsak, Daniel P. Ferris, Aleksandrs Prokofjevs, Irena Majerz, Przemysław Szklarz, Huacheng Zhang, Amy A. Sarjeant, Charlotte L. Stern, Ryszard Jakubas, Seungbum Hong, Vinayak P. Dravid and J. Fraser Stoddart. "Flexible ferroelectric organic crystals. "Nature Communications 7, no. 21(2016): 13108. Gangjian Tan, Li-Dong Zhao and Mercouri G. Kanatzidis. "Rationally Designing High-Performance Bulk Thermoelectric Materials." Chemical Reviews 116, no. 20419 (2016): 12123-12149. Jing Yu, Qianqian Li, Na Chen, Cheng-Yan Xu, Liang Zhen, Jinsong Wu and Vinayak P. Dravid. "Carbon-Coated Nickel Phosphide Nanosheets as Efficient Dual-Electrocatalyst for Overall Water Splitting. "ACS Applied Materials & Interfaces 8, no. 7341 (2016): 27850-27858. Zhilin Yu, Faifan Tantakitti, Liam C. Palmer and Samuel I. Stupp. "Asymmetric Peptide Nanoribbons. "Nano Letters 16, no. 7511 (2016): 6967-6974. Kavita Chandra, Kayla S. B. Culver, Stephanie E. Werner, Raymond C. Lee and Teri W. Odom. "Manipulating the Anisotropic Structure of Gold Nanostars using Good’s Buffers. "Chemistry of Materials 28, no. 6218 (2016): 6763-6769. Xiangfan Chen, Peijun Guo, Cheng He, Biqin Dong, Leonidas E. Ocola, Richard D. Schaller, Robert P. H. Chang and Cheng Sun. "Scaling the Artificial Polariton Bandgap at Infrared Frequencies Using Indium Tin Oxide Nanorod Arrays. "Advanced Optical Materials no. 33(2016). Nicolás A. Grosso-Giordano, Todd R. Eaton, Zhenyu Bo, Sara Yacob, Chieh-Chao Yang and Justin M. Notestein. "Silica support modifications to enhance Pd-catalyzed deoxygenation of stearic acid. "Applied Catalysis B: Environmental 192, no. 92(2016): 93-100. Peijun Guo, Benjamin T. Diroll, John B. Ketterson, Richard D. Schaller and Robert P. H. Chang. "Fine-tune the spectrum of indium-tin-oxide nanorod arrays in the visible range. "Plasmonics: Design, Materials, Fabrication, Characterization, and Applications XIV. San Diego, California (2016). Peijun Guo, Richard D. Schaller, Leonidas E. Ocola, Benjamin T. Diroll, John B. Ketterson and Robert P. H. Chang. "Large optical nonlinearity of ITO nanorods for sub-picosecond all-optical modulation of the full-visible spectrum. "Nature Communications 7, no. 84(2016): 12892. Peijun Guo, Richard D. Schaller, Leonidas E. Ocola, John B. Ketterson and Robert P. H. Chang. "Gigahertz Acoustic Vibrations of Elastically Anisotropic Indium–Tin-Oxide Nanorod Arrays. "Nano Letters 16, no. 199 (2016): 5639-5646. Adam E. Jakus, Alexandra L. Rutz, Sumanas W. Jordan, Abhishek Kannan, Sean M. Mitchell, Chawon Yun, Katie D. Koube, Sung C. Yoo, Herbert E. Whiteley, Claus-Peter Richter, Robert D. Galiano, Wellington K. Hsu, Stuart R. Stock, Erin L. Hsu and Ramille N. Shah. "Hyperelastic “bone”: A highly versatile, growth factor–free, osteoregenerative, scalable, and surgically friendly biomaterial. "Science Translational Medicine 8, no. 70358 (2016): 358ra127. Ki-Ryong Lee, Stephanie Bettis Homan, Mohamad Kodaimati, George C. Schatz and Emily A. Weiss. "Near-Quantitative Yield for Transfer of Near-Infrared Excitons within Solution-Phase Assemblies of PbS Quantum Dots. "The Journal of Physical Chemistry C 120, no. 7139 (2016): 22186-22194. Alyssa S. Haynes, Katherine Lee and Mercouri G. Kanatzidis. "One-Dimensional Zinc Selenophosphates: A2ZnP2Se6 (A = K, Rb, Cs)." Zeitschrift für anorganische und allgemeine Chemie 642, no. 18219 (2016): 1120-1125. Qianqian Li, Heguang Liu, Zhenpeng Yao, Jipeng Cheng, Tiehu Li, Yuan Li, Chris Wolverton, Jinsong Wu and Vinayak P. Dravid. "Electrochemistry of Selenium with Sodium and Lithium: Kinetics and Reaction Mechanism. "ACS Nano 10, no. 39 (2016): 8788-8795. Qinyuan Liu, James Coakley, David N. Seidman and David C. Dunand. "Precipitate Evolution and Creep Behavior of a W-Free Co-based Superalloy. "Metallurgical and Materials Transactions A 47, no. 8012 (2016): 6090-6096. Matthew N. O’Brien, Martin Girard, Hai-Xin Lin, Jaime A. Millan, Monica Olvera de la Cruz, Byeongdu Lee and Chad A. Mirkin. "Exploring the zone of anisotropy and broken symmetries in DNA-mediated nanoparticle crystallization. "Proceedings of the National Academy of Sciences 113, no. 7438 (2016): 10485-10490. Clayton H. Rische, Aakriti Goel, Aleksandar F. Radovic-Moreno and Sergei M. Gryaznov. "Antibacterial silver core spherical nucleic acids. "Materials Today Communications 9, no. 82(2016): 30-40. Debajit Sarma, Saiful M. Islam, K. S. Subrahmanyam and Mercouri G. Kanatzidis. "Efficient and selective heavy metal sequestration from water by using layered sulfide K2xSn4-xS8-x (x = 0.65-1; KTS-3). "Journal of Materials Chemistry A 4, no. 6742 (2016): 16597-16605. Chan Myae Myae Soe, Constantinos C. Stoumpos, Boris Harutyunyan, Eric F. Manley, Lin X. Chen, Michael J. Bedzyk, Tobin J. Marks and Mercouri G. Kanatzidis. "Room Temperature Phase Transition in Methylammonium Lead Iodide Perovskite Thin Films Induced by Hydrohalic Acid Additives. "ChemSusChem 9, no. 7218 (2016): 2656-2665. Kota Surya Subrahmanyam, Christos D. Malliakas, Saiful M. Islam, Debajit Sarma, Jinsong Wu and Mercouri G. Kanatzidis. "High-Surface-Area Antimony Sulfide Chalcogels. "Chemistry of Materials 28, no. 4021 (2016): 7744-7749. Shannon L. Taylor, Adam E. Jakus, Ramille N. Shah and David C. Dunand. "Iron and Nickel Cellular Structures by Sintering of 3D-Printed Oxide or Metallic Particle Inks. "Advanced Engineering Materials no. 8 (2016). Zhen Wang, Xianliang Hou, Jingmei Shen and Tiehu Li. "Supported cobalt oxide nanocrystals: morphology control and catalytic performance for styrene oxidation. "RSC Advances 6, no. 8992 (2016): 89503-89509. Carolyn M. Wilke, Tiezheng Tong, Jean-François Gaillard and Kimberly A. Gray. "Attenuation of Microbial Stress Due to Nano-Ag and Nano-TiO2 Interactions under Dark Conditions. "Environmental Science & Technology 50, no. 3420 (2016): 11302-11310. Jason A. Cody, Lauren M. Dalecky, Christian A. Juillerat, Grant C. B. Alexander and Luke C. Shylanski. "Ionothermal synthesis of new cobalt and chromium thiophosphate anions [Co(Co(P3S8)2)2]4− and [Cr(P3S9)2]3−." Polyhedron 114, no. 102(2016): 399-402. Karl Hujsak, Benjamin D. Myers, Eric Roth, Yue Li and Vinayak P. Dravid. "Suppressing Electron Exposure Artifacts: An Electron Scanning Paradigm with Bayesian Machine Learning." Microscopy and Microanalysis 22, no. 1794 (2016): 778-788. Jong Kuk Lim, One-Sun Lee, Jae-Won Jang, Sarah Hurst Petrosko, George C. Schatz and Chad A. Mirkin. "Molecular Transport Junctions Created By Self-Contacting Gapped Nanowires." Small 12, no. 132 (2016): 4349-4356. Zhichang Liu, Avik Samanta, Juying Lei, Junling Sun, Yuping Wang and J. Fraser Stoddart. "Cation-Dependent Gold Recovery with α-Cyclodextrin Facilitated by Second-Sphere Coordination." Journal of the American Chemical Society 138, no. 8836 (2016): 11643-11653. Aaron W. Peters, Zhanyong Li, Omar K. Farha and Joseph T. Hupp. "Toward Inexpensive Photocatalytic Hydrogen Evolution: A Nickel Sulfide Catalyst Supported on a High-Stability Metal–Organic Framework." ACS Applied Materials & Interfaces 8, no. 2232 (2016): 20675-20681. Xiaoli Wang, Youwei Yao, Shi Ye, Tianchen Liu, Lahsen Assoufid, Jian Cao and M. P. Ulmer. "Shaping Si, NiCo, and glass substrates via stresses in the coatings." SPIEE Proceedings 9965 (2016). M. Alexander Ardagh, Zhenyu Bo, Scott L. Nauert and Justin M. Notestein. "Depositing SiO2 on Al2O3: a Route to Tunable Brønsted Acid Catalysts. "ACS Catalysis 6, no. 649 (2016): 6156-6164. Mohammad Asadi, Kibum Kim, Cong Liu, Aditya Venkata Addepalli, Pedram Abbasi, Poya Yasaei, Patrick Phillips, Amirhossein Behranginia, José M. Cerrato, Richard Haasch, Peter Zapol, Bijandra Kumar, Robert F. Klie, Jeremiah Abiade, Larry A. Curtiss and Amin Salehi-Khojin. "Nanostructured transition metal dichalcogenide electrocatalysts for CO2 reduction in ionic liquid. "Science 353, no. 1886298 (2016): 467-470. Stacey N. Barnaby, Michael B. Ross, Ryan V. Thaner, Byeongdu Lee, George C. Schatz and Chad A. Mirkin. "Enzymatically Controlled Vacancies in Nanoparticle Crystals. "Nano Letters 16, no. 248 (2016): 5114-5119. Fernando C. Castro, Qianqian Li, Guennadi Evmenenko, D. Bruce Buchholz, Jinsong Wu, Michael Bedzyk and Vinayak P. Dravid. "Dynamics of Electrochemical Conversion of Nanoscale Metal-Metal Oxide Multilayer Architecture. "Microscopy and Microanalysis 22, no. 13S3 (2016): 1316-1317. A. S. Childers, N. R. Brodnik and K. T. Faber. "Interfacial frictional stresses and fracture toughness of biomorphic graphite/copper interfaces. "Materials Letters 174, no. 93(2016): 106-109. Kunlun Ding, Ahmet Gulec, Alexis M. Johnson, Tasha L. Drake, Weiqiang Wu, Yuyuan Lin, Eric Weitz, Laurence D. Marks and Peter C. Stair. "Highly Efficient Activation, Regeneration, and Active Site Identification of Oxide-Based Olefin Metathesis Catalysts. "ACS Catalysis 6, no. 859 (2016): 5740-5746. Xisen Hou, Chenfeng Ke, Yu Zhou, Zhuang Xie, Ahmed Alngadh, Denis T. Keane, Majed S. Nassar, Youssry Y. Botros, Chad A. Mirkin and J. Fraser Stoddart. "Concurrent Covalent and Supramolecular Polymerization. "Chemistry – A European Journal 22, no. 5035 (2016): 12301-12306. Haixu Leng, James Loy, Victor Amin, Emily A. Weiss and Matthew Pelton. "Electron Transfer from Single Semiconductor Nanocrystals to Individual Acceptor Molecules. "ACS Energy Letters 1, no. 1781 (2016): 9-15. Qianqian Li, Heguang Liu, Zhenpeng Yao, Chris Wolverton, Jinsong Wu and Vinayak P. Dravid. "Kinetics of Sodium and Selenium Reactions in Sodium Ion Batteries. "Microscopy and Microanalysis 22, no. 4S3 (2016): 826-829. Xiaobing Liu, Xin Chen, Hong-An Ma, Xiaopeng Jia, Jinsong Wu, Tony Yu, Yanbin Wang, Jiangang Guo, Sylvain Petitgirard, Craig R. Bina and Steven D. Jacobsen. "Ultrahard stitching of nanotwinned diamond and cubic boron nitride in C(2)-BN composite. "Scientific Reports 6, no. 47(2016): 30518. Jarad A. Mason, Christine R. Laramy, Cheng-Tsung Lai, Matthew N. O’Brien, Qing-Yuan Lin, Vinayak P. Dravid, George C. Schatz and Chad A. Mirkin. "Contraction and Expansion of Stimuli-Responsive DNA Bonds in Flexible Colloidal Crystals. "Journal of the American Chemical Society 138, no. 17428 (2016): 8722-8725. Martin R. McPhail, Gavin P. Campbell, Michael J. Bedzyk and Emily A. Weiss. "Structural Features of PbS Nanocube Monolayers upon Treatment with Mono- and Dicarboxylic Acids and Thiols at a Liquid–Air Interface. "Langmuir 32, no. 18126 (2016): 6666-6673. Gangjian Tan, Fengyuan Shi, Shiqiang Hao, Li-Dong Zhao, Hang Chi, Xiaomi Zhang, Ctirad Uher, Chris Wolverton, Vinayak P. Dravid and Mercouri G. Kanatzidis. "Non-equilibrium processing leads to record high thermoelectric figure of merit in PbTe–SrTe." Nature Communications 7, no. 198(2016): 12167. Zhiyuan Sun, Ori Hazut, Bo-Chao Huang, Ya-Ping Chiu, Chia-Seng Chang, Roie Yerushalmi, Lincoln J. Lauhon and David N. Seidman. "Dopant Diffusion and Activation in Silicon Nanowires Fabricated by ex Situ Doping: A Correlative Study via Atom-Probe Tomography and Scanning Tunneling Spectroscopy." Nano Letters 16, no. 1827 (2016): 4490-4500. Jinsong Wu, Qianqian Li, Zhenpeng Yao, Christopher M. Wolverton, Michael M. Thackeray and Vinayak P. Dravid. "Atomic-resolutionin-situTEM Studies of Lithium Electrochemistry in Co3O4-Carbon Nanotube Nanocomposite. "Microscopy and Microanalysis 22, no. 6S3 (2016): 762-763. Xiaomi Zhang, Gangjian Tan, Shiqiang Hao, Chris Wolverton, Mercouri G. Kanatzidis and Vinayak P. Dravid. "Microstructure Evolution in Nanostructured High-Performance Thermoelectrics: The case of p-type Pb1-xNaxTe-SrTe. "Microscopy and Microanalysis 22, no. 9S3 (2016): 1268-1269. Cornelius O. Audu, Huong Giang T. Nguyen, Chih-Yi Chang, Michael J. Katz, Lily Mao, Omar K. Farha, Joseph T. Hupp and SonBinh T. Nguyen. "The dual capture of AsV and AsIII by UiO-66 and analogues." Chemical Science 7, no. 5110 (2016): 6492-6498. Eric J. Berns, Zaida Álvarez, Joshua E. Goldberger, Job Boekhoven, John A. Kessler, H. Georg Kuhn and Samuel I. Stupp. "A tenascin-C mimetic peptide amphiphile nanofiber gel promotes neurite outgrowth and cell migration of neurosphere-derived cells." Acta Biomaterialia 37, no. 45(2016): 50-58. Aniruddha Biswas, Debasis Sen, Sudip Kumar Sarkar, Sarita, S. Mazumder and David N. Seidman. "Temporal evolution of coherent precipitates in an aluminum alloy W319: A correlative anisotropic small angle X-ray scattering, transmission electron microscopy and atom-probe tomography study." Acta Materialia 116, no. 49(2016): 219-230. Fernando Castro, Guennadi Evmenenko, Qianqian Li, D. Bruce Buchholz, Jinsong Wu, Michael Bedzyk and Vinayak P. Dravid. "Lithium Conversion in Metal-Metal Oxide Multilayer Nano-Architectures," presented at the 18th International Meeting on Lithium Batteries, Chicago, 2016. Bor-Rong Chen, Cassandra George, Yuyuan Lin, Linhua Hu, Lawrence Crosby, Xianyi Hu, Peter C. Stair, Laurence D. Marks, Kenneth R. Poeppelmeier, Richard P. Van Duyne and Michael J. Bedzyk. "Morphology and oxidation state of ALD-grown Pd nanoparticles on TiO2- and SrO-terminated SrTiO3 nanocuboids." Surface Science 648, no. 94(2016): 291-298. Peng-Cheng Chen, Xiaolong Liu, James L. Hedrick, Zhuang Xie, Shunzhi Wang, Qing-Yuan Lin, Mark C. Hersam, Vinayak P. Dravid and Chad A. Mirkin. "Polyelemental nanoparticle libraries." Science 352, no. 366293 (2016): 1565-1569. Wei Huang, Li Zeng, Xinge Yu, Peijun Guo, Binghao Wang, Qing Ma, Robert P. H. Chang, Junsheng Yu, Michael J. Bedzyk, Tobin J. Marks and Antonio Facchetti. "Metal Oxide Transistors via Polyethylenimine Doping of the Channel Layer: Interplay of Doping, Microstructure, and Charge Transport." Advanced Functional Materials 26, no. 6834 (2016): 6179-6187. Qianqian Li, Jinsong Wu and Vinayak Dravid. "Synergistic Sodiation of Cobalt Oxide Nanoparticles and Conductive Carbon Nanotubes (CNTs) for Sodium-Ion Battery." Meeting Abstracts MA2016-03, no. 232 (2016): 334. Tian-Ran Wei, Gangjian Tan, Xiaomi Zhang, Chao-Feng Wu, Jing-Feng Li, Vinayak P. Dravid, G. Jeffrey Snyder and Mercouri G. Kanatzidis. "Distinct Impact of Alkali-Ion Doping on Electrical Transport Properties of Thermoelectric p-Type Polycrystalline SnSe." Journal of the American Chemical Society 138, no. 5628 (2016): 8875-8882. Jinsong Wu, Qianqian Li, Heguang Liu and Vinayak P. Dravid. "Reaction Mechanism and Dynamics of Selenium As Cathode for High Energy Density Lithium-Ion Battery," presented at the 18th International Meeting on Lithium Batteries, Chicago, 2016. Tenglong Zhu, Daniel E. Fowler, Kenneth R. Poeppelmeier, Minfang Han and Scott A. Barnett. "Hydrogen Oxidation Mechanisms on Perovskite Solid Oxide Fuel Cell Anodes." Journal of The Electrochemical Society 163, no. 1848 (2016): F952-F961. Jeffrey D. Cain, Fengyuan Shi, Jinsong Wu and Vinayak P. Dravid. "Growth Mechanism of Transition Metal Dichalcogenide Monolayers: The Role of Self-Seeding Fullerene Nuclei." ACS Nano 10, no. 395 (2016): 5440-5445. Michael Desanker, Blake Johnson, Afif M. Seyam, Yip-Wah Chung, Hassan S. Bazzi, Massimiliano Delferro, Tobin J. Marks and Q. Jane Wang. "Oil-Soluble Silver–Organic Molecule for in Situ Deposition of Lubricious Metallic Silver at High Temperatures." ACS Applied Materials & Interfaces 8, no. 4321 (2016): 13637-13645. Divya Jain, Dieter Isheim, Allen H. Hunter and David N. Seidman. "Multicomponent High-Strength Low-Alloy Steel Precipitation-Strengthened by Sub-nanometric Cu Precipitates and M2C Carbides." Metallurgical and Materials Transactions A 47, no. 698 (2016): 3860-3872. Peng Li, Justin A Modica, Ashlee J Howarth, Ernesto Vargas L, Peyman Z Moghadam, Randall Q Snurr, Milan Mrksich, Joseph T Hupp and Omar K Farha. "Toward Design Rules for Enzyme Immobilization in Hierarchical Mesoporous Metal-Organic Frameworks." Chem 1, no. 601 (2016): 154-169. Jian Liu, Matthew S. Kelley, Weiqiang Wu, Abhishek Banerjee, Alexios P. Douvalis, Jinsong Wu, Yongbo Zhang, George C. Schatz and Mercouri G. Kanatzidis. "Nitrogenase-mimic iron-containing chalcogels for photochemical reduction of dinitrogen to ammonia." Proceedings of the National Academy of Sciences 113, no. 17820 (2016): 5530-5535. Sicelo S. Masango, Ryan A. Hackler, Nicolas Large, Anne-Isabelle Henry, Michael O. McAnally, George C. Schatz, Peter C. Stair and Richard P. Van Duyne. "High-Resolution Distance Dependence Study of Surface-Enhanced Raman Scattering Enabled by Atomic Layer Deposition." Nano Letters 16, no. 417 (2016): 4251-4259. Benjamin D. Myers, Qing-Yuan Lin, Huanxin Wu, Erik Luijten, Chad A. Mirkin and Vinayak P. Dravid. "Size-Selective Nanoparticle Assembly on Substrates by DNA Density Patterning." ACS Nano 10, no. 916 (2016): 5679-5686. Martino Rimoldi, Akitake Nakamura, Nicolaas A. Vermeulen, James J. Henkelis, Anthea K. Blackburn, Joseph T. Hupp, J. Fraser Stoddart and Omar K. Farha. "A metal-organic framework immobilised iridium pincer complex." Chemical Science 7, no. 868 (2016): 4980-4984. Michael B. Ross, Michael J. Ashley, Abrin L. Schmucker, Srikanth Singamaneni, Rajesh R. Naik, George C. Schatz and Chad A. Mirkin. "Structure–Function Relationships for Surface-Enhanced Raman Spectroscopy-Active Plasmonic Paper." The Journal of Physical Chemistry C 120, no. 2637 (2016): 20789-20797. Mohammad M. Shahjamali, Yong Zhou, Negin Zaraee, Can Xue, Jinsong Wu, Nicolas Large, C. Michael McGuirk, Freddy Boey, Vinayak Dravid, Zhifeng Cui, George C. Schatz and Chad A. Mirkin. "Ag–Ag2S Hybrid Nanoprisms: Structural versus Plasmonic Evolution." ACS Nano 10, no. 325 (2016): 5362-5373. Karthik V. Pillai, Patrick J. Gray, Chun-Chieh Tien, Reiner Bleher, Li-Piin Sung and Timothy V. Duncan. "Environmental release of core-shell semiconductor nanocrystals from free-standing polymer nanocomposite films." Environmental Science: Nano 3, no. 903 (2016): 657-669. Binghao Wang, Li Zeng, Wei Huang, Ferdinand S. Melkonyan, William C. Sheets, Lifeng Chi, Michael J. Bedzyk, Tobin J. Marks and Antonio Facchetti. "Carbohydrate-Assisted Combustion Synthesis To Realize High-Performance Oxide Transistors." Journal of the American Chemical Society 138, no. 8122 (2016): 7067-7074. Nishima Wangoo, Anuradha Swami, Sarabjit Kaur, Kavita Bansal and Rohit K. Sharma. "Development of a Colloidal Gold-Based Nanobioprobe for the Detection of Glycated Albumin." BioNanoScience 6, no. 522 (2016): 132-138. Ann V. Call, Justin G. Railsback, Hongqian Wang and Scott A. Barnett. "Degradation of nano-scale cathodes: a new paradigm for selecting low-temperature solid oxide cell materials." Physical Chemistry Chemical Physics 18, no. 6119 (2016): 13216-13222. Alyssa S. Haynes, Abhishek Banerjee, Felix O. Saouma, Calford O. Otieno, Joon I. Jang and Mercouri G. Kanatzidis. "Phase Transition, Conformational Exchange, and Nonlinear Optical Third Harmonic Generation of ACsP2Se8 (A = K, Rb, Cs)." Chemistry of Materials 28, no. 957 (2016): 2374-2383. Elena Pazos, Eduard Sleep, Charles M. Rubert Pérez, Sungsoo S. Lee, Faifan Tantakitti and Samuel I. Stupp. "Nucleation and Growth of Ordered Arrays of Silver Nanoparticles on Peptide Nanofibers: Hybrid Nanostructures with Antimicrobial Properties." Journal of the American Chemical Society 138, no. 717 (2016): 5507-5510. Constantinos C. Stoumpos, Duyen H. Cao, Daniel J. Clark, Joshua Young, James M. Rondinelli, Joon I. Jang, Joseph T. Hupp and Mercouri G. Kanatzidis. "Ruddlesden–Popper Hybrid Lead Iodide Perovskite 2D Homologous Semiconductors." Chemistry of Materials 28, no. 1618 (2016): 2852-2867. Wangqiang Sun, Weiqiang Wu, Kaylin M. McMahon, Jonathan S. Rink and C. Shad Thaxton. "Mosaic Interdigitated Structure in Nanoparticle-Templated Phospholipid Bilayer Supports Partial Lipidation of Apolipoprotein A-I." Particle & Particle Systems Characterization 33, no. 446 (2016): 300-305. Jonathan C. Syrigos and Mercouri G. Kanatzidis. "Scandium Selenophosphates: Structure and Properties of K4Sc2(PSe4)2(P2Se6)." Inorganic Chemistry 55, no. 559 (2016): 4664-4668. Faifan Tantakitti, Job Boekhoven, Xin Wang, Roman V. Kazantsev, Tao Yu, Jiahe Li, Ellen Zhuang, Roya Zandi, Julia H. Ortony, Christina J. Newcomb, Liam C. Palmer, Gajendra S. Shekhawat, Monica Olvera de la Cruz, George C. Schatz and Samuel I. Stupp. "Energy landscapes and functions of supramolecular systems." Nature Materials 15, no. 1154 (2016): 469-476. Nicholas P. Calta, Sergey L. Bud’ko, Alexandra P. Rodriguez, Fei Han, Duck Young Chung and Mercouri G. Kanatzidis. "Synthesis, Structure, and Complex Magnetism of MIr2In8 (M = Eu, Sr)." Inorganic Chemistry 55, no. 486 (2016): 3128-3135. Boya Cui, Li Zeng, Denis Keane, Michael J. Bedzyk, D. Bruce Buchholz, Robert P. H. Chang, Xinge Yu, Jeremy Smith, Tobin J. Marks, Yu Xia, Antonio F. Facchetti, Julia E. Medvedeva and M. Grayson. "Thermal Conductivity Comparison of Indium Gallium Zinc Oxide Thin Films: Dependence on Temperature, Crystallinity, and Porosity." The Journal of Physical Chemistry C 120, no. 7814 (2016): 7467-7475. Dmitry Kurouski, Nicolas Large, Naihao Chiang, Nathan Greeneltch, Keith T. Carron, Tamar Seideman, George C. Schatz and Richard P. Van Duyne. "Unraveling near-field and far-field relationships for 3D SERS substrates - a combined experimental and theoretical analysis." Analyst 141, no. 1085 (2016): 1779-1788. Aidan R. Mouat, Anil U. Mane, Jeffrey W. Elam, Massimiliano Delferro, Tobin J. Marks and Peter C. Stair. "Volatile Hexavalent Oxo-amidinate Complexes: Molybdenum and Tungsten Precursors for Atomic Layer Deposition." Chemistry of Materials 28, no. 1496 (2016): 1907-1919. Vikas Nandwana, Soo-Ryoon Ryoo, Shanthi Kanthala, Mrinmoy De, Stanley S. Chou, Pottumarthi V. Prasad and Vinayak P. Dravid. "Engineered Theranostic Magnetic Nanostructures: Role of Composition and Surface Coating on Magnetic Resonance Imaging Contrast and Thermal Activation." ACS Applied Materials & Interfaces 8, no. 9711 (2016): 6953-6961. K. Nandy, M. J. Palmeri, C. M. Burke, Z. An, S. T. Nguyen, K. W. Putz and L. C. Brinson. "Stop Motion Animation Reveals Formation Mechanism of Hierarchical Structure in Graphene Oxide Papers." Advanced Materials Interfaces 3, no. 1116 (2016): 1500666. Oleg Senkov, Dieter Isheim, David Seidman and Adam Pilchak. "Development of a Refractory High Entropy Superalloy." Entropy 18, no. 163 (2016): 102. Baobing Zhao, Yang Mei, Matthew J Schipma, Eric Wayne Roth, Reiner Bleher, Joshua Z Rappoport, Amittha Wickrema, Jing Yang and Peng Ji. "Nuclear Condensation during Mouse Erythropoiesis Requires Caspase-3-Mediated Nuclear Opening." Developmental Cell 36, no. 965 (2016): 498-510. Heather N. Arnold, Cory D. Cress, Julian J. McMorrow, Scott W. Schmucker, Vinod K. Sangwan, Laila Jaber-Ansari, Rajan Kumar, Kanan P. Puntambekar, Kyle A. Luck, Tobin J. Marks and Mark C. Hersam. "Tunable Radiation Response in Hybrid Organic–Inorganic Gate Dielectrics for Low-Voltage Graphene Electronics. "ACS Applied Materials & Interfaces 8, no. 1008 (2016): 5058-5064. Mohammad Asadi, Bijandra Kumar, Cong Liu, Patrick Phillips, Poya Yasaei, Amirhossein Behranginia, Peter Zapol, Robert F. Klie, Larry A. Curtiss and Amin Salehi-Khojin. "Cathode Based on Molybdenum Disulfide Nanoflakes for Lithium–Oxygen Batteries. "ACS Nano 10, no. 1142 (2016): 2167-2175. Boya Cui, D. Bruce Buchholz, Li Zeng, Michael Bedzyk, Robert P. H. Chang and Matthew Grayson. "Long-term Room Temperature Instability in Thermal Conductivity of InGaZnO Thin Films. "MRS Advances 1, no. 2022 (2016): 1631-1636. Jason R. Dorvee, Lauren Gerkowicz, Sara Bahmanyar, Alix Deymier-Black and Arthur Veis. "Chondroitin sulfate is involved in the hypercalcification of the organic matrix of bovine peritubular dentin. "Archives of Oral Biology 62, no. 109(2016): 93-100. Gloria Groom, Louis Van Tilborgh, David J Getsy, Ella Hendricks and Inge Fiedler. Van Gogh's Bedrooms. T. A. I. Chicago. Yale University Press, 2016. Peijun Guo, Richard D. Schaller, John B. Ketterson and Robert P. H. Chang. "Ultrafast switching of tunable infrared plasmons in indium tin oxide nanorod arrays with large absolute amplitude. "Nature Photonics 10, no. 994 (2016): 267-273. Eve D. Hanson, Fengyuan Shi, Thomas C. Chasapis, Mercouri G. Kanatzidis and Vinayak P. Dravid. "Two-dimensional bismuth-rich nanosheets through the evaporative thinning of Se-doped Bi2Te3. "Journal of Crystal Growth 436, no. 103(2016): 138-144. Shu He, Zhuang Xie, Daniel J. Park, Xing Liao, Keith A. Brown, Peng-Cheng Chen, Yu Zhou, George C. Schatz and Chad A. Mirkin. "Liquid-Phase Beam Pen Lithography. "Small 12, no. 1188 (2016): 988-993. Rachel C. Klet, Timothy C. Wang, Laura E. Fernandez, Donald G. Truhlar, Joseph T. Hupp and Omar K. Farha. "Synthetic Access to Atomically Dispersed Metals in Metal–Organic Frameworks via a Combined Atomic-Layer-Deposition-in-MOF and Metal-Exchange Approach. "Chemistry of Materials 28, no. 1054 (2016): 1213-1219. Zhanyong Li, Neil M. Schweitzer, Aaron B. League, Varinia Bernales, Aaron W. Peters, Andrew “Bean” Getsoian, Timothy C. Wang, Jeffrey T. Miller, Aleksei Vjunov, John L. Fulton, Johannes A. Lercher, Christopher J. Cramer, Laura Gagliardi, Joseph T. Hupp and Omar K. Farha. "Sintering-Resistant Single-Site Nickel Catalyst Supported by Metal–Organic Framework. "Journal of the American Chemical Society 138, no. 1076 (2016): 1977-1982. Sicelo S. Masango, Ryan A. Hackler, Anne-Isabelle Henry, Michael O. McAnally, George C. Schatz, Peter C. Stair and Richard P. Van Duyne. "Probing the Chemistry of Alumina Atomic Layer Deposition Using Operando Surface-Enhanced Raman Spectroscopy. "The Journal of Physical Chemistry C 120, no. 1107 (2016): 3822-3833. Johanna Salvant, Victoria Schussler, Caitlin McKenna, Lisa Bruno, Monica Ganio and Marc Walton. "Investigation of an enameled glass mosque lamp: a 13th–14th-century Mamluk example or 19th-century European version? "Heritage Science 4, no. 5 (2016). Casey J. Stephenson, Joseph T. Hupp and Omar K. Farha. "Postassembly Transformation of a Catalytically Active Composite Material, Pt@ZIF-8, via Solvent-Assisted Linker Exchange." Inorganic Chemistry 55, no. 1654 (2016): 1361-1363. Casey J. Stephenson, Cassandra L. Whitford, Peter C. Stair, Omar K. Farha and Joseph T. Hupp. "Chemoselective Hydrogenation of Crotonaldehyde Catalyzed by an Au@ZIF-8 Composite. "ChemCatChem 8, no. 1134 (2016): 855-860. Aiming Yan, Yi Hua and Vinayak P. Dravid. "Locally enhanced surface plasmons and modulated “hot-spots” in nanoporous gold patterns on atomically thin MoS2 with a comparison to SiO2 substrate. "Applied Physics Letters 108, no. 989 (2016): 091901. David J. Weinberg, Chen He and Emily A. Weiss. "Control of the Redox Activity of Quantum Dots through Introduction of Fluoroalkanethiolates into Their Ligand Shells." Journal of the American Chemical Society 138, no. 1737 (2016): 2319-2326. Takamichi Yokoyama, Duyen H. Cao, Constantinos C. Stoumpos, Tze-Bin Song, Yoshiharu Sato, Shinji Aramaki and Mercouri G. Kanatzidis. "Overcoming Short-Circuit in Lead-Free CH3NH3SnI3 Perovskite Solar Cells via Kinetically Controlled Gas–Solid Reaction Film Fabrication Process. "The Journal of Physical Chemistry Letters 7, no. 1015 (2016): 776-782. R. Helen Zha, Yuri S. Velichko, Ronit Bitton and Samuel I. Stupp. "Molecular design for growth of supramolecular membranes with hierarchical structure. "Soft Matter 12, no. 1295 (2016): 1401-1410. Rachel D. Harris, Victor A. Amin, Bryan Lau and Emily A. Weiss. "Role of Interligand Coupling in Determining the Interfacial Electronic Structure of Colloidal CdS Quantum Dots." ACS Nano 10, no. 1851 (2016): 1395-1403. Shu He, Zhuang Xie, Daniel J. Park, Xing Liao, Keith A. Brown, Peng-Cheng Chen, Yu Zhou, George C. Schatz and Chad A. Mirkin. "Liquid-Phase Beam Pen Lithography." Small 12, no. 598 (2016): 988-993. Kelan A. Hlavaty, Derrick P. McCarthy, Eiji Saito, Woon Teck Yap, Stephen D. Miller and Lonnie D. Shea. "Tolerance induction using nanoparticles bearing HY peptides in bone marrow transplantation." Biomaterials 76, no. 121(2016): 1-10. David Kennouche, Yu-chen Karen Chen-Wiegart, Kyle J. Yakal-Kremski, Jun Wang, John W. Gibbs, Peter W. Voorhees and Scott A. Barnett. "Observing the microstructural evolution of Ni-Yttria-stabilized zirconia solid oxide fuel cell anodes." Acta Materialia 103, no. 117(2016): 204-210. Maria Kokkori, Marie-Odile Hubert, Nathalie Balcar, Gilles Barabant, Ken Sutherland and Francesca Casadio. "Gloss paints in late paintings by Francis Picabia: a multi-analytical study." Applied Physics A 122, no. 1221 (2016): 16. Luo Langli, Wu Jinsong, Li Qianqian, P. Dravid Vinayak, R. Poeppelmeier Kenneth, Rao Qunli and Xu Junming. "Reactions of graphene supported Co 3 O 4 nanocubes with lithium and magnesium studied by in situ transmission electron microscopy." Nanotechnology 27, no. 1128 (2016): 085402. Zhao Liu, Yu-chen K. Chen-Wiegart, Jun Wang, Scott A. Barnett and Katherine T. Faber. "Three-Phase 3D Reconstruction of a LiCoO2 Cathode via FIB-SEM Tomography." Microscopy and Microanalysis 22, no. 531 (2016): 140-148. Hongnan Ma, Jing He, Ding-Bang Xiong, Jinsong Wu, Qianqian Li, Vinayak Dravid and Yufeng Zhao. "Nickel Cobalt Hydroxide @Reduced Graphene Oxide Hybrid Nanolayers for High Performance Asymmetric Supercapacitors with Remarkable Cycling Stability." ACS Applied Materials & Interfaces 8, no. 1193 (2016): 1992-2000. Courtney E. Morgan, Amanda W. Dombrowski, Charles M. Rubert Pérez, Edward SM Bahnson, Nick D. Tsihlis, Wulin Jiang, Qun Jiang et al. “Tissue-Factor Targeted Peptide Amphiphile Nanofibers as an Injectable Therapy to Control Hemorrhage." ACS nano (2016). M. J. Pellin, Abdellatif M. Yacout, Kun Mo, Jonathan Almer, S. Bhattacharya, Walid Mohamed, D. Seidman, Bei Ye, D. Yun, Ruqing Xu and Shaofei Zhu. "MeV per nucleon ion irradiation of nuclear materials with high energy synchrotron X-ray characterization." Journal of Nuclear Materials 471, no. 63(2016): 266-271. Tejas A. Shastry, Sarah C. Clark, Andrew J. E. Rowberg, Kyle A. Luck, Kan-Sheng Chen, Tobin J. Marks and Mark C. Hersam. "Enhanced Uniformity and Area Scaling in Carbon Nanotube–Fullerene Bulk-Heterojunction Solar Cells Enabled by Solvent Additives." Advanced Energy Materials 6, no. 1842 (2016): 1501466. Anthony W. Tan and John M. Torkelson. "Poly(methyl methacrylate) nanotubes in AAO templates: Designing nanotube thickness and characterizing the Tg-confinement effect by DSC." Polymer 82, no. 77(2016): 327-336. Daniel R. Vissers, Dieter Isheim, Chun Zhan, Zonghai Chen, Jun Lu and Khalil Amine. "Understanding atomic scale phenomena within the surface layer of a long-term cycled 5 V spinel electrode." Nano Energy 19, no. 120(2016): 297-306. Binghao Wang, Xinge Yu, Peijun Guo, Wei Huang, Li Zeng, Nanjia Zhou, Lifeng Chi, Michael J. Bedzyk, Robert P. H. Chang, Tobin J. Marks and Antonio Facchetti. "Solution-Processed All-Oxide Transparent High-Performance Transistors Fabricated by Spray-Combustion Synthesis." Advanced Electronic Materials 2, no. 834 (2016): 1500427. Hongqian Wang, Zhan Gao and Scott A. Barnett. "Anode-Supported Solid Oxide Fuel Cells Fabricated by Single Step Reduced-Temperature Co-Firing." Journal of The Electrochemical Society 163, no. 153 (2016): F196-F201. Hongqian Wang, Kyle J. Yakal-Kremski, Ted Yeh, Ghislain M. Rupp, Andreas Limbeck, Jürgen Fleig and Scott A. Barnett. "Mechanisms of Performance Degradation of (La,Sr)(Co,Fe)O3-δ Solid Oxide Fuel Cell Cathodes." Journal of The Electrochemical Society 163, no. 126 (2016): F581-F585. Zhilin Yu, Faifan Tantakitti, Tao Yu, Liam C. Palmer, George C. Schatz and Samuel I. Stupp. "Simultaneous covalent and noncovalent hybrid polymerizations." Science 351, no. 256272 (2016): 497-502. F. Stolzenburg, M. T. Johnson, K. N. Lee, N. S. Jacobson, and K. T. Faber. "The interaction of calcium–magnesium–aluminosilicate with ytterbium silicate environmental barrier materials. "Surface and Coatings Technology 284 (2015): 44-50. Amirhossein Behranginia, Mohammad Asadi, Cong Liu, Poya Yasaei, Bijandra Kumar, Patrick Phillips, Tara Foroozan et al. "Highly Efficient Hydrogen Evolution Reaction Using Crystalline Layered Three Dimensional Molybdenum Disulfides Grown On Graphene Film. "Chemistry of Materials (2015). Matthew N. O’Brien, Keith A. Brown, and Chad A. Mirkin. "Critical Undercooling in DNA-Mediated Nanoparticle Crystallization." ACS nano (2015). Rachel C. Klet, Samat Tussupbayev, Joshua Borycz, James R. Gallagher, Madelyn M. Stalzer, Jeffrey T. Miller, Laura Gagliardi et al. "Single-Site Organozirconium Catalyst Embedded in a Metal–Organic Framework." Journal of the American Chemical Society (2015). Gautam Naik and Sridhar Krishnaswamy. "Room-temperature Humidity Sensing Using Graphene Oxide Thin Films." Graphene 5, no. 01 (2015): 1. Manish K. Jaiswal, Lina Pradhan, Shaleen Vasavada, Mrinmoy De, H. D. Sarma, Anand Prakash, D. Bahadur, and Vinayak P. Dravid. "Magneto-thermally responsive hydrogels for bladder cancer treatment: Therapeutic efficacy and in vivo biodistribution." Colloids and Surfaces B: Biointerfaces 136 (2015): 625-633. Josiah B. Lewis, Dieter Isheim, Christine Floss, and David N. Seidman. "determination in nanodiamonds by atom-probe tomography. "Ultramicroscopy 159 (2015): 248-254. Irene YT Chang, and Derk Joester. "Cryo-planing of frozen-hydrated samples using cryo triple ion gun milling (CryoTIGM™)." Journal of structural biology 192, no. 3 (2015): 569-579. Stephanie Zaleski, M. Fernanda Cardinal, Jordan M. Klingsporn, and Richard P. Van Duyne. "Observing Single, Heterogeneous, One-Electron Transfer Reactions." The Journal of Physical Chemistry C 119, no. 50 (2015): 28226-28234. Tim T. Fister, Xianyi Hu, Jennifer Esbenshade, Xiao Chen, Jinsong Wu, Vinayak Dravid, Michael Bedzyk et al. "Dimensionally Controlled Lithiation of Chromium Oxide. "Chemistry of Materials (2015). Christine R. Laramy, Keith A. Brown, Matthew N. O’Brien, and Chad A. Mirkin. "High-Throughput, Algorithmic Determination of Nanoparticle Structure from Electron Microscopy Images." ACS nano 9, no. 12 (2015): 12488-12495. Adam E. Jakus, Shannon L. Taylor, Nicholas R. Geisendorfer, David C. Dunand, and Ramille N. Shah. "Metallic Architectures from 3D‐Printed Powder‐Based Liquid Inks." Advanced Functional Materials 25, no. 45 (2015): 6985-6995. Gangjian Tan, Wolfgang G. Zeier, Fengyuan Shi, Pengli Wang, G. Jeffery Snyder, Vinayak P. Dravid, and Mercouri G. Kanatzidis. "High Thermoelectric Performance SnTe–In2Te3 Solid Solutions Enabled by Resonant Levels and Strong Vacancy Phonon Scattering. "Chemistry of Materials 27, no. 22 (2015): 7801-7811. Rajaprakash Ramachandramoorthy, Wei Gao, Rodrigo Bernal, and Horacio Espinosa. "High Strain Rate Tensile Testing of Silver Nanowires: Rate-Dependent Brittle-to-Ductile Transition. "Nano letters (2015). S. M. Miller, X. Xiao, and K. T. Faber. "Freeze-cast alumina pore networks: Effects of freezing conditions and dispersion medium. "Journal of the European Ceramic Society 35, no. 13 (2015): 3595-3605. Guohua Wei, David A. Czaplewski, Erik J. Lenferink, Teodor K. Stanev, Il Woong Jung, and Nathaniel P. Stern. "Valley Polarization in Size-Tunable Monolayer Semiconductor Quantum Dots. "arXiv preprint arXiv:1510.09135 (2015). Debajit Sarma, Christos D. Malliakas, K. S. Subrahmanyam, Saiful M. Islam, and Mercouri G. Kanatzidis. "K 2x Sn 4− x S 8− x (x= 0.65–1): a new metal sulfide for rapid and selective removal of Cs+, Sr 2+ and UO 2 2+ ions." Chemical Science (2016). Shunzhi Wang, William Morris, Yangyang Liu, C. Michael McGuirk, Yu Zhou, Joseph T. Hupp, Omar K. Farha, and Chad A. Mirkin. "Surface‐Specific Functionalization of Nanoscale Metal–Organic Frameworks." Angewandte Chemie 127, no. 49 (2015): 14951-14955. Yangyang Liu, Su-Young Moon, Joseph T. Hupp, and Omar K. Farha. "Dual-Function Metal–Organic Framework as a Versatile Catalyst for Detoxifying Chemical Warfare Agent Simulants." ACS nano 9, no. 12 (2015): 12358-12364. Stacey N. Barnaby, Ryan V. Thaner, Michael B. Ross, Keith A. Brown, George C. Schatz, and Chad A. Mirkin. "Modular and Chemically Responsive Oligonucleotide “Bonds” in Nanoparticle Superlattices." Journal of the American Chemical Society 137, no. 42 (2015): 13566-13571. Irene YT Chang and Derk Joester. "Large Area Cryo-Planing of Vitrified Samples Using Broad-Beam Ion Milling." Microscopy and Microanalysis21, no. 06 (2015): 1616-1621. Ankun Yang, Zhongyang Li, Michael P. Knudson, Alexander J. Hryn, Weijia Wang, Koray Aydin, and Teri W. Odom. "Unidirectional Lasing from Template-stripped Two-dimensional Plasmonic Crystals. "ACS nano 9, no. 12 (2015): 11582-11588. Kota S. Subrahmanyam, Christos D. Malliakas, Debajit Sarma, Gerasimos S. Armatas, Jinsong Wu, and Mercouri G. Kanatzidis. "Ion-exchangeable molybdenum sulfide porous chalcogel: Gas adsorption and capture of iodine and mercury." Journal of the American Chemical Society 137, no. 43 (2015): 13943-13948. Kunlun Ding, Ahmet Gulec, Alexis M. Johnson, Neil M. Schweitzer, Galen D. Stucky, Laurence D. Marks, and Peter C. Stair. "Identification of active sites in CO oxidation and water-gas shift over supported Pt catalysts." Science 350, no. 6257 (2015): 189-192. Julian J. McMorrow, Amanda R. Walker, Vinod K. Sangwan, Deep Jariwala, Emily Hoffman, Ken Everaerts, Antonio Facchetti, Mark C. Hersam, and Tobin J. Marks. "Solution-Processed Self-Assembled Nanodielectrics on Template-Stripped Metal Substrates." ACS applied materials & interfaces 7, no. 48 (2015): 26360-26366. Xin Wang, Reiner Bleher, Vadim Backman, Gajendra S. Shekhawat, and Vinayak P. Dravid. "Comparison of Sample Preparation Methods for Analysis of Mucus-Secreting Colon Cancer Cells by Scanning Electron Microscopy." Microscopy and Microanalysis 21, no. S3 (2015): 185-186. Sherzod T. Madrahimov, James R. Gallagher, Guanghui Zhang, Zachary Meinhart, Sergio J. Garibay, Massimiliano Delferro, Jeffrey T. Miller, Omar K. Farha, Joseph T. Hupp, and SonBinh T. Nguyen. "Gas-Phase Dimerization of Ethylene under Mild Conditions Catalyzed by MOF Materials Containing (bpy) NiII Complexes." ACS Catalysis 5, no. 11 (2015): 6713-6718. Bong Jin Hong, Vincent Y. Cho, Reiner Bleher, George C. Schatz, and SonBinh T. Nguyen. "Enhancing DNA-Mediated Assemblies of Supramolecular Cage Dimers through Tuning Core Flexibility and DNA Length A Combined Experimental–Modeling Study. "Journal of the American Chemical Society 137, no. 41 (2015): 13381-13388. Aidan R. Mouat, Cassandra George, Takeshi Kobayashi, Marek Pruski, Richard P. van Duyne, Tobin J. Marks, and Peter C. Stair. "Highly dispersed SiOx/Al2O3 catalysts illuminate the reactivity of isolated silanol sites." Angewandte Chemie 127, no. 45 (2015): 13544-13549. J. Shahani, E. B. Gulsoy, V. J. Roussochatzakis, J. W. Gibbs, J. L. Fife, and P. W. Voorhees. "The dynamics of coarsening in highly anisotropic systems: Si particles in Al–Si liquids." Acta Materialia 97 (2015): 325-337. Zhuang Xie, Yu Zhou, James L. Hedrick, Peng‐Cheng Chen, Shu He, Mohammad M. Shahjamali, Shunzhi Wang, Zijian Zheng, and Chad A. Mirkin. "On‐Tip Photo‐Modulated Molecular Printing." Angewandte Chemie International Edition 54, no. 44 (2015): 12894-12899. Matthew J. Webber, Jörn Tongers, Marie-Ange Renault, Jerome G. Roncalli, Douglas W. Losordo, and Samuel I. Stupp. "Reprint of: Development of bioactive peptide amphiphiles for therapeutic cell delivery." Acta biomaterialia 23 (2015): S42-S51. B. Ye, S. Bhattacharya, K. Mo, D. Yun, W. Mohamed, M. Pellin, J. Fortner et al. "Irradiation behavior study of U–Mo/Al dispersion fuel with high energy Xe." Journal of Nuclear Materials 464 (2015): 236-244. Feng Hao, Constantinos C. Stoumpos, Peijun Guo, Nanjia Zhou, Tobin J. Marks, Robert PH Chang, and Mercouri G. Kanatzidis. "Solvent-Mediated Crystallization of CH3NH3SnI3 Films for Heterojunction Depleted Perovskite Solar Cells." Journal of the American Chemical Society 137, no. 35 (2015): 11445-11452. Gangjian Tan, Fengyuan Shi, Shiqiang Hao, Hang Chi, Trevor P. Bailey, Li-Dong Zhao, Ctirad Uher, Chris Wolverton, Vinayak P. Dravid, and Mercouri G. Kanatzidis. "Valence Band Modification and High Thermoelectric Performance in SnTe Heavily Alloyed with MnTe." Journal of the American Chemical Society 137, no. 35 (2015): 11507-11516. Chuan Zhang, Liangliang Hao, Colin M. Calabrese, Yu Zhou, Chung Hang J. Choi, Hang Xing, and Chad A. Mirkin. "Biodegradable DNA‐Brush Block Copolymer Spherical Nucleic Acids Enable Transfection Agent‐Free Intracellular Gene Regulation." Small 11, no. 40 (2015): 5360-5368. Nicholas P. Calta, Fei Han, and Mercouri G. Kanatzidis. "Synthesis, Structure, and Rigid Unit Mode-like Anisotropic Thermal Expansion of BaIr2In9." Inorganic chemistry 54, no. 17 (2015): 8794-8799. Joseph S. Uzarski, Jimmy Su, Yan Xie, Zheng J. Zhang, Heather H. Ward, Angela Wandinger-Ness, William M. Miller, and Jason A. Wertheim. "Epithelial cell repopulation and preparation of rodent extracellular matrix scaffolds for renal tissue development." JoVE (Journal of Visualized Experiments) 102 (2015): e53271-e53271. Monica Ganio, Johanna Salvant, Jane Williams, Lynn Lee, Oliver Cossairt, and Marc Walton. "Investigating the use of Egyptian blue in Roman Egyptian portraits and panels from Tebtunis, Egypt." Applied Physics A 121, no. 3 (2015): 813-821. Aaron W. Peters, Zhanyong Li, Omar K. Farha, and Joseph T. Hupp. "Atomically Precise Growth of Catalytically Active Cobalt Sulfide on Flat Surfaces and within a Metal–Organic Framework via Atomic Layer Deposition." ACS nano 9, no. 8 (2015): 8484-8490. Qianqian Li, Jinsong Wu, and Vinayak P. Dravid. "Real-time Observation of Electrochemical Sodiation of C0 3 O 4/CNTS by in-situ Transmission Electron Microscopy. "Microscopy and Microanalysis 21, no. S3 (2015): 1811-1812. M. Naviroj, S. M. Miller, P. Colombo, and K. T. Faber. "Directionally aligned macroporous SiOC via freeze casting of preceramic polymers." Journal of the European Ceramic Society35, no. 8 (2015): 2225-2232. Jinsong Wu, Langli Luo, Qianqian Li, Vinayak P. Dravid, Qunli Rao, and Junming Xu. "Reaction Mechanism and Kinetic of Graphene Supported Co 3 O 4 Nanocubes with Lithium and Magnesium Studied by in situ TEM. "Microscopy and Microanalysis 21, no. S3 (2015): 1197-1198. Jing Xu, David J. Corr, and Surendra P. Shah. "Nanomechanical investigation of the effects of nanoSiO 2 on C–S–H gel/cement grain interfaces." Cement and Concrete Composites 61 (2015): 7-17. Hasan Kocer, Serkan Butun, Edgar Palacios, Zizhuo Liu, Sefaattin Tongay, Deyi Fu, Kevin Wang, Junqiao Wu, and Koray Aydin. "Intensity tunable infrared broadband absorbers based on VO2 phase transition using planar layered thin films." Scientific reports 5 (2015). Gareth A. Hughes, Justin G. Railsback, Kyle J. Yakal-Kremski, Danielle M. Butts, and Scott A. Barnett. "Degradation of (La 0.8 Sr 0.2) 0.98 MnO 3− δ–Zr 0.84 Y 0.16 O 2− γ composite electrodes during reversing current operation. "Faraday discussions 182 (2015): 365-377. T. C. Chasapis, D. Koumoulis, B. Leung, N. P. Calta, S-H. Lo, V. P. Dravid, L-S. Bouchard, and M. G. Kanatzidis. "Two-band model interpretation of the p-to n-transition in ternary tetradymite topological insulators." Apl Materials 3, no. 8 (2015): 083601. Xiaodan Cui, "Nanostructured Thin Film Materials for Solid Oxide Fuel Cells by Atomic Layer Deposition." PhD diss., University of Illinois at Chicago, 2015. Yinglu Tang, Riley Hanus, Sinn-wen Chen, and G. Jeffrey Snyder. "Solubility design leading to high figure of merit in low-cost Ce-CoSb3 skutterudites." Nature communications 6 (2015). Michael B. Ross, Jessie C. Ku, Martin G. Blaber, Chad A. Mirkin, and George C. Schatz. "Defect tolerance and the effect of structural inhomogeneity in plasmonic DNA-nanoparticle superlattices." Proceedings of the National Academy of Sciences 112, no. 33 (2015): 10292-10297. Ronald B. Soriano, Jinsong Wu, and Mercouri G. Kanatzidis. "Size as a Parameter to Stabilize New Phases: Rock Salt Phases of Pb m Sb2 n Se m+ 3 n." Journal of the American Chemical Society 137, no. 31 (2015): 9937-9942. Peng-Cheng Chen, Guoliang Liu, Yu Zhou, Keith A. Brown, Natalia Chernyak, James L. Hedrick, Shu He et al. "Tip-Directed Synthesis of Multimetallic Nanoparticles." Journal of the American Chemical Society 137, no. 28 (2015): 9167-9173. Daria C. Zelasko-Leon, Christina M. Fuentes, and Phillip B. Messersmith. "MUC1-Targeted Cancer Cell Photothermal Ablation Using Bioinspired Gold Nanorods." PloS one 10, no. 7 (2015): e0128756. Tuncay Ozel, Michael J. Ashley, Gilles R. Bourret, Michael B. Ross, George C. Schatz, and Chad A. Mirkin. "Solution-Dispersible Metal Nanorings with Deliberately Controllable Compositions and Architectural Parameters for Tunable Plasmonic Response." Nano letters 15, no. 8 (2015): 5273-5278. Huong Giang T. Nguyen, Lily Mao, Aaron W. Peters, Cornelius O. Audu, Zachary J. Brown, Omar K. Farha, Joseph T. Hupp, and SonBinh T. Nguyen. "Comparative study of titanium-functionalized UiO-66: support effect on the oxidation of cyclohexene using hydrogen peroxide." Catalysis Science & Technology 5, no. 9 (2015): 4444-4451. Zhiqiang Luo, Yuanwen Jiang, Benjamin D. Myers, Dieter Isheim, Jinsong Wu, John F. Zimmerman, Zongan Wang et al. "Atomic gold–enabled three-dimensional lithography for silicon mesostructures." Science 348, no. 6242 (2015): 1451-1455. Nicholas P. Calta, Jino Im, Alexandra P. Rodriguez, Lei Fang, Daniel E. Bugaris, Thomas C. Chasapis, Arthur J. Freeman, and Mercouri G. Kanatzidis. "Hybridization Gap and Dresselhaus Spin Splitting in EuIr4In2Ge4." Angewandte Chemie 127, no. 32 (2015): 9318-9323. Laila Jaber‐Ansari, Kanan P. Puntambekar, Soo Kim, Muratahan Aykol, Langli Luo, Jinsong Wu, Benjamin D. Myers et al. "Suppressing Manganese Dissolution from Lithium Manganese Oxide Spinel Cathodes with Single‐Layer Graphene." Advanced Energy Materials 5, no. 17 (2015). Feng Yan, Xiuwen Zhang, G. Yu Yonggang, Liping Yu, Arpun Nagaraja, Thomas O. Mason, and Alex Zunger. "Design and discovery of a novel half-Heusler transparent hole conductor made of all-metallic heavy elements. "Nature communications 6 (2015). C. H. Liebscher, V. R. Radmilović, U. Dahmen, N. Q. Vo, D. C. Dunand, M. Asta, and G. Ghosh. "A hierarchical microstructure due to chemical ordering in the bcc lattice: early stages of formation in a ferritic Fe–Al–Cr–Ni–Ti alloy." Acta Materialia 92 (2015): 220-232. Suguna P. Narayan, Chung Hang J. Choi, Liangliang Hao, Colin M. Calabrese, Evelyn Auyeung, Chuan Zhang, Olga JGM Goor, and Chad A. Mirkin. "The Sequence‐Specific Cellular Uptake of Spherical Nucleic Acid Nanoparticle Conjugates." Small 11, no. 33 (2015): 4173-4182. Qing-Yuan Lin, Zhongyang Li, Keith A. Brown, Matthew N. O’Brien, Michael B. Ross, Yu Zhou, Serkan Butun et al. "Strong coupling between plasmonic gap modes and photonic lattice modes in DNA-assembled gold nanocube arrays." Nano letters 15, no. 7 (2015): 4699-4703. Justin G. Railsback, Zhan Gao, and Scott A. Barnett. "Oxygen electrode characteristics of Pr 2 NiO 4+ δ-infiltrated porous (La 0.9 Sr 0.1)(Ga 0.8 Mg 0.2) O 3–δ." Solid State Ionics 274 (2015): 134-139. Duyen H. Cao, Constantinos C. Stoumpos, Omar K. Farha, Joseph T. Hupp, and Mercouri G. Kanatzidis. "2D Homologous Perovskites as Light-Absorbing Materials for Solar Cell Applications." Journal of the American Chemical Society 137, no. 24 (2015): 7843-7850. Matthew N. O’Brien, Matthew R. Jones, Byeongdu Lee, and Chad A. Mirkin. "Anisotropic nanoparticle complementarity in DNA-mediated co-crystallization." Nature materials 14, no. 8 (2015): 833-839. Bong Jin Hong, Ibrahim Eryazici, Reiner Bleher, Ryan V. Thaner, Chad A. Mirkin, and SonBinh T. Nguyen. "Directed Assembly of Nucleic Acid-Based Polymeric Nanoparticles from Molecular Tetravalent Cores." Journal of the American Chemical Society137, no. 25 (2015): 8184-8191. C. Bewerse, A. A. Emery, L. C. Brinson, and D. C. Dunand. "NiTi porous structure with 3D interconnected microchannels using steel wire spaceholders." Materials Science and Engineering: A 634 (2015): 153-160. Monica M. Laronda, Adam E. Jakus, Kelly A. Whelan, Jason A. Wertheim, Ramille N. Shah, and Teresa K. Woodruff. "Initiation of puberty in mice following decellularized ovary transplant." Biomaterials 50 (2015): 20-29. Bin Jiang, Berke Akgun, Ryan C. Lam, Guillermo A. Ameer, and Jason A. Wertheim. "A polymer–extracellular matrix composite with improved thromboresistance and recellularization properties. "Acta biomaterialia 18 (2015): 50-58. Daniel E. Fowler, Andreas C. Messner, Elizabeth C. Miller, Benjamin W. Slone, Scott A. Barnett, and Kenneth R. Poeppelmeier. "Decreasing the Polarization Resistance of (La, Sr) CrO3− δ Solid Oxide Fuel Cell Anodes by Combined Fe and Ru Substitution." Chemistry of Materials 27, no. 10 (2015): 3683-3693. Jessie C. Ku, Michael B. Ross, George C. Schatz, and Chad A. Mirkin. "Conformal, Macroscopic Crystalline Nanoparticle Sheets Assembled with DNA." Advanced Materials 27, no. 20 (2015): 3159-3163. Adam E. Jakus, Ethan B. Secor, Alexandra L. Rutz, Sumanas W. Jordan, Mark C. Hersam, and Ramille N. Shah. "Three-dimensional printing of high-content graphene scaffolds for electronic and biomedical applications." ACS nano 9, no. 4 (2015): 4636-4648. Gangjian Tan, Fengyuan Shi, Shiqiang Hao, Hang Chi, Li-Dong Zhao, Ctirad Uher, Chris Wolverton, Vinayak P. Dravid, and Mercouri G. Kanatzidis. "Codoping in SnTe: Enhancement of Thermoelectric Performance through Synergy of Resonance Levels and Band Convergence." Journal of the American Chemical Society 137, no. 15 (2015): 5100-5112. Nicholas P. Calta, and Mercouri G. Kanatzidis. "Hf 3 Fe 4 Sn 4 and Hf 9 Fe 4− x Sn 10+ Two stannide intermetallics with low-dimensional iron sublattices." Journal of Solid State Chemistry (2015). Tuncay Ozel, Gilles R. Bourret, and Chad A. Mirkin. "Coaxial lithography." Nature nanotechnology 10, no. 4 (2015): 319-324. Jeffrey D. Brodin, Evelyn Auyeung, and Chad A. Mirkin. "DNA-mediated engineering of multicomponent enzyme crystals." Proceedings of the National Academy of Sciences 112, no. 15 (2015): 4564-4569. Lyle M. Gordon and Derk Joester. "Mapping residual organics and carbonate at grain boundaries and the amorphous interphase in mouse incisor enamel. "Frontiers in physiology 6 (2015). Thomas Stephan, Philipp R. Heck, Dieter Isheim, and Josiah B. Lewis. "Correction of dead time effects in laser-induced desorption time-of-flight mass spectrometry: Applications in atom probe tomography." International Journal of Mass Spectrometry 379 (2015): 46-51. Michael B. Ross, Jessie C. Ku, Victoria M. Vaccarezza, George C. Schatz, and Chad A. Mirkin. "Nanoscale form dictates mesoscale function in plasmonic DNA–nanoparticle superlattices." Nature nanotechnology 10, no. 5 (2015): 453-458. Gimena Dos Santos, Micah R. Rogel, Margaret A. Baker, James R. Troken, Daniela Urich, Luisa Morales-Nebreda, Joseph A. Sennello et al. "Vimentin regulates activation of the NLRP3 inflammasome." Nature communications 6 (2015). C. Bewerse, L. C. Brinson, and D. C. Dunand. "Microstructure and mechanical properties of as-cast quasibinary NiTi–Nb eutectic alloy." Materials Science and Engineering: A 627 (2015): 360-368. Nicholas P. Calta, Sergey L. Bud’ko, Alexandra P. Rodriguez, Fei Han, Duck Young Chung, and Mercouri G. Kanatzidis. "Synthesis, Structure, and Complex Magnetism of MIr2In8 (M= Eu, Sr)." Inorganic chemistry (2016). Kota S. Subrahmanyam, Debajit Sarma, Christos D. Malliakas, Kyriaki Polychronopoulou, Brian J. Riley, David A. Pierce, Jaehun Chun, and Mercouri G. Kanatzidis. "Chalcogenide aerogels as sorbents for radioactive iodine." Chemistry of Materials 27, no. 7 (2015): 2619-2626. Casey J. Stephenson, Joseph T. Hupp, and Omar K. Farha. "Pt@ ZIF-8 composite for the regioselective hydrogenation of terminal unsaturations in 1, 3-dienes and alkynes. "Inorganic Chemistry Frontiers 2, no. 5 (2015): 448-452. Matthew D. Ward, Minseong Lee, Eun Sang Choi, and James A. Ibers. "Synthesis and characterization of the quaternary scandium uranium selenide CsScUSe 3 (Se 2)." Journal of Solid State Chemistry 226 (2015): 307-311. Matthew W. Rotz, Kayla SB Culver, Giacomo Parigi, Keith W. MacRenaris, Claudio Luchinat, Teri W. Odom, and Thomas J. Meade. "High Relaxivity Gd (III)–DNA Gold Nanostars: Investigation of Shape Effects on Proton Relaxation." ACS nano9, no. 3 (2015): 3385-3396. Aidan R. Mouat, Anil U. Mane, Jeffrey W. Elam, Massimiliano Delferro, Tobin J. Marks, and Peter C. Stair. "Volatile Hexavalent Oxo-Amidinate Complexes: Mo and W Precursors for Atomic Layer Deposition." Chemistry of Materials (2016). Lincoln J., Lauhon and Mark C. Hersam. "Gate-tunable memristive phenomena mediated by grain boundaries in single-layer MoS2." (2015). Samantha M. Clarke and Danna E. Freedman. "(BiSe) 1.23 CrSe2 and (BiSe) 1.22 (Cr1. 2Se2) 2: Magnetic Anisotropy in the First Structurally Characterized Bi–Se–Cr Ternary Compounds." Inorganic chemistry 54, no. 6 (2015): 2765-2771. Lyle M. Gordon, Michael J. Cohen, Keith W. MacRenaris, Jill D. Pasteris, Takele Seda, and Derk Joester. "Amorphous intergranular phases control the properties of rodent tooth enamel." Science 347, no. 6223 (2015): 746-750. Alyssa S. Haynes, Felix O. Saouma, Calford O. Otieno, Daniel J. Clark, Daniel P. Shoemaker, Joon I. Jang, and Mercouri G. Kanatzidis. "Phase-Change Behavior and Nonlinear Optical Second and Third Harmonic Generation of the One-Dimensional K (1–x) Cs x PSe6 and Metastable β-CsPSe6." Chemistry of Materials 27, no. 5 (2015): 1837-1846. Dmitry Kurouski and Richard P. Van Duyne. "In Situ detection and identification of hair dyes using surface-enhanced Raman spectroscopy (SERS)." Analytical chemistry 87, no. 5 (2015): 2901-2906. Binghao Wang, Xinge Yu, Peijun Guo, Wei Huang, Li Zeng, Nanjia Zhou, Lifeng Chi et al. "Solution‐Processed All‐Oxide Transparent High‐Performance Transistors Fabricated by Spray‐Combustion Synthesis." Advanced Electronic Materials (2016). Lei Fang, Jino Im, Constantinos C. Stoumpos, Fengyuan Shi, Vinayak Dravid, Maxime Leroux, Arthur J. Freeman, Wai-Kwong Kwok, Duck Young Chung, and Mercouri Kanatzidis. "Two-Dimensional Mineral [Pb2BiS3][AuTe2]: High-Mobility Charge Carriers in Single-Atom-Thick Layers. "Journal of the American Chemical Society 137, no. 6 (2015): 2311-2317. Junming Xu, Jinsong Wu, Langli Luo, Xinqi Chen, Huibin Qin, Vinayak Dravid, Shaobo Mi, and Chunlin Jia. "Co 3 O 4 nanocubes homogeneously assembled on few-layer graphene for high energy density lithium-ion batteries." Journal of Power Sources 274 (2015): 816-822. Zhenyu Bo, Todd R. Eaton, James R. Gallagher, Christian P. Canlas, Jeffrey T. Miller, and Justin M. Notestein. "Size-Selective Synthesis and Stabilization of Small Silver Nanoparticles on TiO2 Partially Masked by SiO2. "Chemistry of Materials 27, no. 4 (2015): 1269-1277. Matthew N. O’Brien, Matthew R. Jones, Kevin L. Kohlstedt, George C. Schatz, and Chad A. Mirkin. "Uniform circular disks with synthetically tailorable diameters: Two-dimensional nanoparticles for plasmonics." Nano letters 15, no. 2 (2015): 1012-1017. Job Boekhoven, R. Helen Zha, Faifan Tantakitti, Ellen Zhuang, Roya Zandi, Christina J. Newcomb, and Samuel I. Stupp. "Alginate–peptide amphiphile core–shell microparticles as a targeted drug delivery system. "RSC advances 5, no. 12 (2015): 8753-8756. JD Emery, CM Schlepütz, P Guo, SC Riha, RPH Chang, and ABF Martinson, Atomic Layer Deposition of Metastable β-Fe2O3 via Isomorphic Epitaxy for Photoassisted Water Oxidation, ACS Appl. Mater. Interfaces, 9 December 2014. B Lee, P Guo, SQ Li, DB Buchholz, RPH Chang, Three Dimensional Indium-Tin-Oxide Nanorod Array for Charge Collection in Dye-Sensitized Solar Cells, ACS Appl. Mater. Interfaces, 22 August 2014. MN O’Brien, B Radha, KA Brown, MR Jones, CA Mirkin, Langmuir Analysis of Nanoparticle Polyvalency in DNA-Mediated Adsorption, Angewandte Chemie International Edition, 1 September 2014, 53 (36), pp 9532—9538. F Pozzi, K Jan van den Berg, I Fiedler, F Casadio, A systematic analysis of red lake pigments in French Impressionist and Post-Impressionist painting by surface-enhanced Raman spectroscopy (SERS), Journal of Raman Spectroscopy, 2 May 2014. Y Lee, SH Lo, C Chen, H Sun, DY Chung, TC Chasapis, C Uher, VP Dravid, MG Kanatzidis, Contrasting role of antimony and bismuth dopants on the thermoelectric performance of lead selenide, Nature Communications, 2 May 2014, 5 (3640). AL Schmucker, MB Dickerson, M Rycenga, BF Mangelson, KA Brown, RR Naik, CA Mirkin, Combined Chemical and Physical Encoding with Silk Fibroin-Embedded Nanostructures, Small, 24 April 2014, 10 (8), pp 1485—1489. LD Zhao, SH Lo, Y Zhang, H Sun, G Tan, C Uher, C Wolverton, VP Dravid, MG Kanatzidis, Ultralow thermal conductivity and high thermoelectric figure of merit in SnSe crystals, Nature, 16 April 2014, 508 (7496). Jaiswal, M. K., De, M., Chou, S. S., Vasavada, S.,Bleher, R., Prasad, P. V., Bahadur, D.; Dravid, V. P., Thermoresponsive Magnetic Hydrogels as Theranostic Nanoconstructs, ACS Applied Materials & Interfaces, 9 April 2014, 14(6): 4082-9. JL Song, KH Au, KT Huynh, AI Packman, Biofilm responses to smooth flow fields and chemical gradients in novel microfluidic flow cells, Biotechnology and Bioengineering, March 2014, 111 (3), pp 597—607. RA Bernal, T Filleter, JG Connell, K Sohn, J Huang, LJ Lauhon, HD Espinosa, In Situ Electron Microscopy Four-Point Electromechanical Characterization of Freestanding Metallic and Semiconducting Nanowires, Small, 26 February 2014, 10 (4), pp 725—733. N Zhou, DB Buchholz, G Zhu, X Yu, H Lin, A Facchetti, TJ Marks, RPH Chang, Ultraflexible Polymer Solar Cells Using Amorphous Zinc-Indium-Tin Oxide Transparent Electrodes, Advanced Materials, 19 February 2014, 26 (7), pp 1098—1104. N Zhou, H Lin, SJ Lou, X Yu, P Guo, EF Manley, S Loser, P Hartnett, H Huang, MR Wasielewski, LX Chen, RPH Chang, A Facchetti, TJ Marks, Morphology-Performance Relationships in High-Efficiency All-Polymer Solar Cells, Advanced Energy Materials, 18 February 2014, 4 (3). R Bitton, LW Chow, RH Zha, YS Velichko, ET Pashuck, SI Stupp, Electrostatic Control of Structure in Self-Assembled Membranes, Small, 12 February 2014, 10 (3), pp 500—505. KL Young, MB Ross, MG Blaber, M Rycenga, MR Jones, C Zhang, AJ Senesi, B Lee, GC Schatz, CA Mirkin, Using DNA to Design Plasmonic Metamaterials with Tunable Optical Properties, Advanced Materials, 29 January 2014, 26 (4), pp 653—659. Hong, Y.P., Gleber, S.-C., O'Halloran, T.V., Que, E.L., Bleher, R., Vogt, S., Woodruff, T.K., and Jacobsen, C., Alignment of low-dose X-ray fluorescence tomography images using differential phase contrast. Journal of Synchrotron Radiation, January 2014, 21, 229-234. B Radha, AJ Senesi, MN O’Brien, MX Wang, E Auyeung, B Lee, CA Mirkin, Reconstitutable Nanoparticle Superlattices, Nano Lett., 2014, 14 (4), pp 2162—2167. BF Mangelson, MR Jones, DJ Park, CM Shade, GC Schatz, CA Mirkin, Synthesis and Characterization of a Plasmonic-Semiconductor Composite Containing Rationally Designed, Optically Tunable Gold Nanorod Dimers and Anatase TiO2, Chem. Mater., 2014, 26 (12), pp 3818—3824. D Krishnan, K Raidongia, J Shao, J Huang, Graphene Oxide Assisted Hydrothermal Carbonization of Carbon Hydrates, ACS Nano, 2014, 8 (1), pp 449—457. HGT Nguyen, NM Schweitzer, CY Chang, TL Drake, MC So, PC Stair, OK Farha, JT Hupp, SBT Nguyen, Vanadium-Node-Functionalized UiO-66 : A Thermally Stable MOF-Supported Catalyst for the Gas-Phase Oxidative Dehydrogenation of Cyclohexene, ACS Catal., 2014, 4 (8), pp 2496—2500. JR Dorvee, A Deymier-Black, L Gerkowicz, A Veis, Peritubular dentin, a highly mineralized, non-collagenous, component of dentin: isolation and capture by laser microdissection, Connect. Tissue Res., 2014, 55 (S1), pp 9—14. M Tagliazucchi, F Zou, EA Weiss, Kinetically Controlled Self-Assembly of Latex-Microgel Core-Satellite Particles, J. Phys. Chem. Lett., 2014, 5 (16), pp 2775—2780. MN O’Brien, MR Jones, KA Brown, CA Mirkin, Universal Noble Metal Nanoparticle Seeds Realized Through Iterative Reductive Growth and Oxidative Dissolution Reactions, J. Am. Chem. Soc., 2014, 136 (21), pp 7603—7606. Young, K.L., Personick, M.L., Engel, M., Damasceno, P.F., Barnaby, S.N., Bleher, R., Li, T., Glotzer, S.C., Lee, B., and Mirkin, C.A., A Directional Entropic Force Approach to Assemble Anisotropic Nanoparticles into Superlattices. Angewandte Chemie International, 7 November 2013, Edition 52, 13980-13984. BF Mangelson, DJ Park, JC Ku, KD Osberg, GC Schatz, CA Mirkin, Tunable and Broadband Plasmonic Absorption via Dispersible Nanoantennas with Sub-10 nm Gaps, Small, 8 July 2013, 9 (13), pp 2250—2254. R Fan, J Magargee, P Hu, J Cao, Influence of grain size and grain boundaries on the thermal and mechanical behavior of 70/30 brass under electrically-assisted deformation, Materials Science and Engineering: A, 1 July 2013, 574, pp 218—225. AJ Senesi, DJ Eichelsdoerfer, RJ Macfarlane, MR Jones, E Auyeung, B Lee, CA Mirkin, Stepwise Evolution of DNA-Programmable Nanoparticle Superlattices, Angewandte Chemie International Edition, 24 June 2013, 52 (26), pp 6624—6628. M Naraghi, GH Bratzel, T Filleter, Z An, X Wei, SBT Nguyen, MJ Buehler, HD Espinosa, Atomistic Investigation of Load Transfer Between DWNT Bundles “Crosslinked” by PMMA Oligomers, Advanced Functional Materials, 19 April 2013, 23 (15), pp 1883—1892. H Tang, C Duan, R Bleher, E Goldberg, Human Lactate Dehydrogenase A (Ldha) Rescues Mouse Ldhc Null Sperm Function, Biology of Reproduction, 6 March 2013. 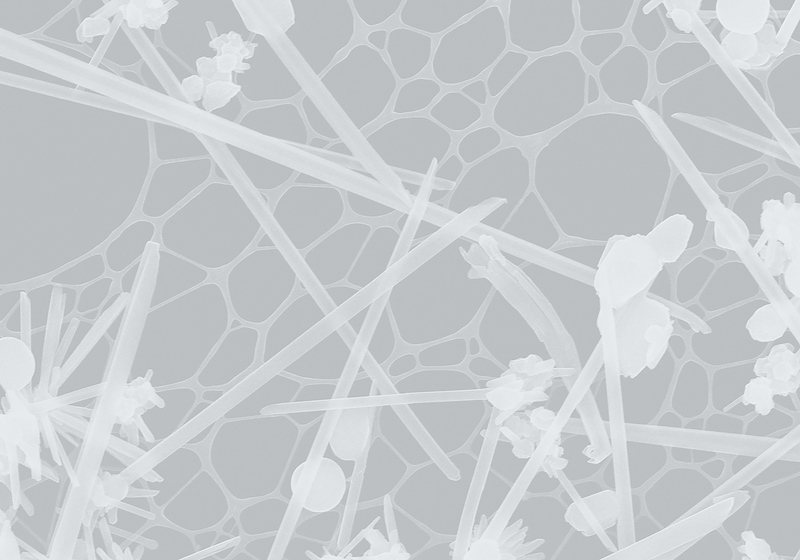 EJ Chung, AE Jakus, RN Shah, In situ forming collagen-hyaluronic acid membrane structures: Mechanism of self-assembly and applications in regenerative medicine, Acta Biomaterialia, February 2013, 9 (2), pp 5153—5161. HM Joshi, M De, F Richter, J He, PV Prasad, VP Dravid, Effect of silica shell thickness of Fe3O4-SiOx core-shell nanostructures on MRI contrast, Journal of Nanoparticle Research, February 2013. G Liu, DJ Eichelsdoerfer, B Rasin, Y Zhou, KA Brown, X Liao, CA Mirkin, Delineating the pathways for the site-directed synthesis of individual nanoparticles on surfaces, PNAS, 15 January 2013, 110 (3), pp 887—891. RH Zha, S Sur, SI Stupp, Self-assembly of Cytotoxic Peptide Amphiphiles into Supramolecular Membranes for Cancer Therapy, Advanced Healthcare Materials, January 2013, 2 (1), pp 126—133. SS Lee, BJ Huang, SR Kaltz, S Sur, CJ Newcomb, SR Stock, RN Shah, SI Stupp, Bone regeneration with low dose BMP-2 amplified by biomimetic supramolecular nanofibers within collagen scaffolds, Biomaterials, January 2013, 34 (2), pp 452—459. C Zhang, RJ Macfarlane, KL Young, CHJ Choi, L Hao, E Auyeung, G Liu, X Zhou, CA Mirkin, A general approach to DNA-programmable atom equivalents, Nature Materials, 2013, 12, pp 741—746. Raja MR, Waterman SR, Qiu J, Bleher R, Williamson PR, and O'Halloran TV. Copper Acquisition Plays a Crucial Role in the Pathogenesis of Cryptococcus neoformans. Metallomics, 2013, 5 (4), 363 – 371. G Liu, Y Zhou, RS Banga, R Boya, KA Brown, AJ Chipre, ST Nguyen, CA Mirkin, The role of viscosity on polymer ink transport in dip-pen nanolithography, Chem. Sci., 2013, 4, pp 2093—2099. K Ahn, K Biswas, J He, I Chung, V Dravid, MG Kanatzidis, Enhanced thermoelectric properties of p-type nanostructured PbTe-MTe (M = Cd, Hg) materials, Energy Environ. Sci., 2013, 6, pp 1529—1537. KA Luck, TA Shastry, S Loser, G Ogien, TJ Marks, MC Hersam, Improved uniformity in high-performance organic photovoltaics enabled by (3-aminopropyl)triethoxysilane cathode functionalization, Phys. Chem. Chem. Phys., 2013, 15, pp 20966—20972. LD Zhao, HJ Wu, SQ Hao, CI Wu, XY Zhou, K Biswas, JQ He, TP Hogan, C Uher, C Wolverton, VP Dravid, MG Kanatzidis, All-scale hierarchical thermoelectrics: MgTe in PbTe facilitates valence band convergence and suppresses bipolar thermal transport for high performance, Energy Environ. Sci., 2013, 6, pp 3346—3355. N Valley, N Greeneltch, RP Van Duyne, GC Schatz, A Look at the Origin and Magnitude of the Chemical Contribution to the Enhancement Mechanism of Surface-Enhanced Raman Spectroscopy (SERS): Theory and Experiment, J. Phys. Chem. Lett., 2013, 4 (16), pp 2599—2604. NG Greeneltch, MG Blaber, GC Schatz, RP Van Duyne, Plasmon-Sampled Surface-Enhanced Raman Excitation Spectroscopy on Silver Immobilized Nanorod Assemblies and Optimization for Near Infrared (λex= 1064 nm) Studies, J. Phys. Chem. C, 2013, 117 (6), pp 2554—2558. X Wang, BD Myers, J Yan, G Shekhawat, V Dravid, PS Lee, Manganese oxide micro-supercapacitors with ultra-high areal capacitance, Nanoscale, 2013, 5, pp 4119—4122. JA Enterkin, W Setthapun, JW Elam, ST Christensen, FA Rabuffetti, LD Marks, PC Stair, KR Poeppelmeier, and Christopher L. Marshall, Propane Oxidation over Pt/SrTiO(3) Nanocuboids, ACS Catal., 2011, 1 (6), pp 629–635. JMP Alaboson, QH Wang, JD Emery, AL Lipson, MJ Bedzyk, JW Elam, MJ Pellin, MC Hersam, Seeding Atomic Layer Deposition of High-k Dielectrics on Epitaxial Graphene with Organic Self-Assembled Monolayers, ACS Nano, 2011, 5 (6), pp 5223–5232. AA Green and MC Hersam, Properties and Application of Double-Walled Carbon Nanotubes Sorted by Outer-Wall Electronic Type, ACS Nano, 2011, 5 (2), pp 1459–1467. DJ Herman, JE Goldberger, S Chao, DT Martin, SI Stupp, Orienting Periodic Organic - Inorganic Nanoscale Domains Through One-Step Electrodeposition, ACS Nano, 2011, 5 (1), pp 565–573. KE Knowles, EA McArthur, and EA Weiss, A Multi-Timescale Map of Radiative and Nonradiative Decay Pathways for Excitons in CdSe Quantum Dots, ACS Nano, 2011, 5 (3), pp 2026–2035. W Wu, I Hassani, H Mohseni, Interlevel Cascade Transition in Electrically Confined Quantum Wire Arrays, ACS Nano, 2011, 5 (9), pp 7488–7493. Y Amouyal, DN Seidman, An atom-probe tomographic study of freckle formation in a nickel-based superalloy, Acta Materialia, Volume 59, Issue 17, October 2011, Pages 6729–6742. TP Tyler, RE Brock, HJ Karmel, TJ Marks, MC Hersam, Organic Solar Cell Characterization: Electronically Monodisperse Single-Walled Carbon Nanotube Thin Films as Transparent Conducting Anodes in Organic Photovoltaic Devices, Advanced Energy Materials, Volume 1, Issue 5, page 701,October, 2011. David J. Herman, Joshua E. Goldberger, Stephen Chao, Daniel T. Martin, and Samuel I. Stupp. "Orienting Periodic Organic− Inorganic Nanoscale Domains Through One-Step Electrodeposition." ACS nano 5, no. 1 (2010): 565-573. P. C. Fonseca, and Hamlin M. Jennings. "The effect of drying on early-age morphology of C–S–H as observed in environmental SEM." Cement and Concrete Research 40, no. 12 (2010): 1673-1680. Gerasimos S. Armatas and Mercouri G. Kanatzidis. "Size dependence in hexagonal mesoporous germanium: pore wall thickness versus energy gap and photoluminescence." Nano letters 10, no. 9 (2010): 3330-3336. Alvaro Mata, Yanbiao Geng, Karl J. Henrikson, Conrado Aparicio, Stuart R. Stock, Robert L. Satcher, and Samuel I. Stupp. "Bone regeneration mediated by biomimetic mineralization of a nanofiber matrix." Biomaterials 31, no. 23 (2010): 6004-6012. Jun D. Liu, Bruce Buchholz, Robert PH Chang, Antonio Facchetti, and Tobin J. Marks. "High‐Performance Flexible Transparent Thin‐Film Transistors Using a Hybrid Gate Dielectric and an Amorphous Zinc Indium Tin Oxide Channel." Advanced Materials 22, no. 21 (2010): 2333-2337. Prativa Pandey, Alexandros P. Katsoulidis, Ibrahim Eryazici, Yuyang Wu, Mercouri G. Kanatzidis, and SonBinh T. Nguyen. "Imine-linked microporous polymer organic frameworks." Chemistry of Materials 22, no. 17 (2010): 4974-4979. JS Wu, AM Kim, RG Marvin, BD Myers, TK Woodruff, TV O'Halloran, VP Dravid, K McIlwrath and SY Li, Imaging and Elemental Mapping of Biological Specimens with the Hitachi HD-2300A Dual-EDS Scanning Transmission Electron Microscope, Microscopy and Microanalysis, Volume 16, Supplement S2, July 2010, pp 884-885. Jong Kuk Lim, Byung Yang Lee, María Laura Pedano, Andrew J. Senesi, Jae‐Won Jang, Wooyoung Shim, Seunghun Hong, and Chad A. Mirkin. "Alignment strategies for the assembly of nanowires with submicron diameters." Small 6, no. 16 (2010): 1736-1740. Tarun K. Bera, Joon I. Jang, Jung-Hwan Song, Christos D. Malliakas, Arthur J. Freeman, John B. Ketterson, and Mercouri G. Kanatzidis. "Soluble semiconductors AAsSe2 (A= Li, Na) with a direct-band-gap and strong second harmonic generation: A combined experimental and theoretical study." Journal of the American Chemical Society 132, no. 10 (2010): 3484-3495. Matthew J. Webber, Jörn Tongers, Marie-Ange Renault, Jerome G. Roncalli, Douglas W. Losordo, and Samuel I. Stupp. "Development of bioactive peptide amphiphiles for therapeutic cell delivery." Acta biomaterialia 6, no. 1 (2010): 3-11. Mirkin et. al, Amorphous Infinite Coordination Polymer Microparticles and Use for Hydrogen Storage, US Patent Application Publication, Pub. No. : US 2009/0211445 A1, August 27, 2009. Kanhu Charan Barick, Mohammed Aslam, Jinsong Wu, Vinayak P. Dravid, and Dhirendra Bahadur. "Defects in three-dimensional spherical assemblies of Ni-doped ZnO nanocrystals." Journal of Materials Research 24, no. 12 (2009): 3543-3550. Owen Loh, Robert Lam, Mark Chen, Nicolaie Moldovan, Houjin Huang, Dean Ho, and Horacio D. Espinosa. "Nanofountain‐Probe‐Based High‐Resolution Patterning and Single‐Cell Injection of Functionalized Nanodiamonds." Small 5, no. 14 (2009): 1667-1674. Indika U. Arachchige, and Mercouri G. Kanatzidis. "Anomalous Band Gap Evolution from Band Inversion in Pb1− x Sn x Te Nanocrystals." Nano letters 9, no. 4 (2009): 1583-1587. Gerasimos S. Armatas, and Mercouri G. Kanatzidis. "Mesoporous germanium-rich chalcogenido frameworks with highly polarizable surfaces and relevance to gas separation." Nature materials 8, no. 3 (2009): 217-222. A. Veis, K. Alvares, S. N. Dixit, J. S. Robach, and S. R. Stock. "Characterization of two distinctly different mineral-related proteins from the teeth of the Camarodont sea urchin Lytechinus variegatus: Specificity of function with relation to mineralization." Frontiers of materials science in China 3, no. 2 (2009): 163-168. Alvaro Mata, Lorraine Hsu, Ramille Capito, Conrado Aparicio, Karl Henrikson, and Samuel I. Stupp. "Micropatterning of bioactive self-assembling gels." Soft Matter 5, no. 6 (2009): 1228-1236. Tarun K. Bera, Joon I. Jang, John B. Ketterson, and Mercouri G. Kanatzidis. "Strong second harmonic generation from the tantalum thioarsenates A3Ta2AsS11 (A= K and Rb)." Journal of the American Chemical Society 131, no. 1 (2008): 75-77. Wang, Yuhuang, Wei Wei, Daniel Maspoch, Jinsong Wu, Vinayak P. Dravid, and Chad A. Mirkin. "Superparamagnetic sub-5 nm Fe@ C nanoparticles: isolation, structure, magnetic properties, and directed assembly." Nano letters 8, no. 11 (2008): 3761-3765. Timothy D. Sargeant, Scott M. Oppenheimer, David C. Dunand, and Samuel I. Stupp. "Titanium foam‐bioactive nanofiber hybrids for bone regeneration." Journal of tissue engineering and regenerative medicine 2, no. 8 (2008): 455-462. Indika U. Arachchige, Jinsong Wu, Vinayak P. Dravid, and Mercouri G. Kanatzidis. "Nanocrystals of the Quaternary Thermoelectric Materials: AgPbmSbTem+ 2 (m= 1–18): Phase‐Segregated or Solid Solutions?." Advanced Materials 20, no. 19 (2008): 3638-3642. Tarun K. Bera, Jung‐Hwan Song, Arthur J. Freeman, Joon I. Jang, John B. Ketterson, and Mercouri G. Kanatzidis. "Soluble Direct‐Band‐Gap Semiconductors LiAsS2 and NaAsS2: Large Electronic Structure Effects from Weak As⋅⋅⋅ S Interactions and Strong Nonlinear Optical Response." Angewandte Chemie International Edition 47, no. 41 (2008): 7828-7832. Bei Peng, Mark Locascio, Peter Zapol, Shuyou Li, Steven L. Mielke, George C. Schatz, and Horacio D. Espinosa. "Measurements of near-ultimate strength for multiwalled carbon nanotubes and irradiation-induced crosslinking improvements." Nature nanotechnology 3, no. 10 (2008): 626-631. Suresh Donthu, Nasim Alem, Zixiao Pan, Shu-You Li, Gajendra Shekhawat, Vinayak Dravid, Kurt D. Benkstein, and Steve Semancik. "Directed fabrication of ceramic nanostructures on fragile substrates using soft-electron beam lithography (soft-eBL)." Nanotechnology, IEEE Transactions on 7, no. 3 (2008): 338-343. Gerasimos S. Armatas and Mercouri G. Kanatzidis. "Mesoporous Compound Semiconductors from the Reaction of Metal Ions with Deltahedral [Ge9] 4− Clusters." Journal of the American Chemical Society 130, no. 34 (2008): 11430-11436. TW Hamann, ABF Martinson, JW Elam, MJ Pellin, JT Hupp, Aerogel Templated ZnO Dye‐Sensitized Solar Cells, Advanced Materials, Volume 20, Issue 8, pages 1560–1564, April 21, 2008. Dean E. Arnold, Jason R. Branden, Patrick Ryan Williams, Gary M. Feinman, and J. P. Brown. "The first direct evidence for the production of Maya Blue: rediscovery of a technology." antiquity 82, no. 315 (2008): 151-164. Timothy D. Sargeant, Mustafa O. Guler, Scott M. Oppenheimer, Alvaro Mata, Robert L. Satcher, David C. Dunand, and Samuel I. Stupp. "Hybrid bone implants: self-assembly of peptide amphiphile nanofibers within porous titanium." Biomaterials 29, no. 2 (2008): 161-171.